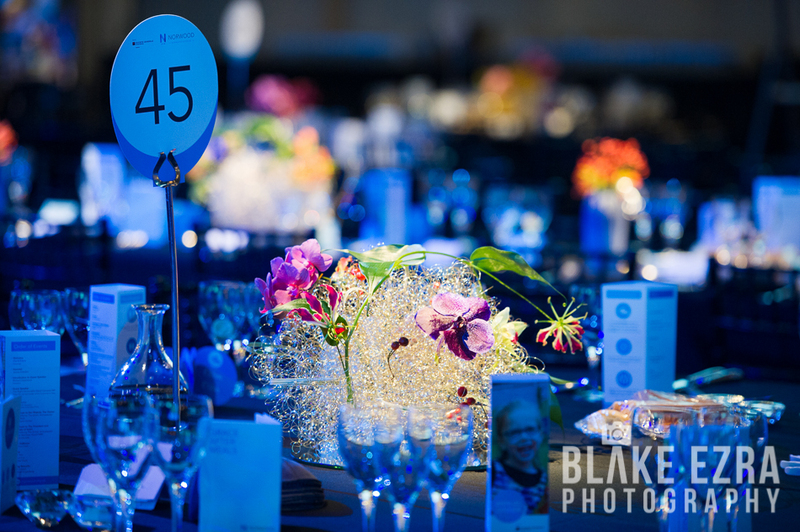 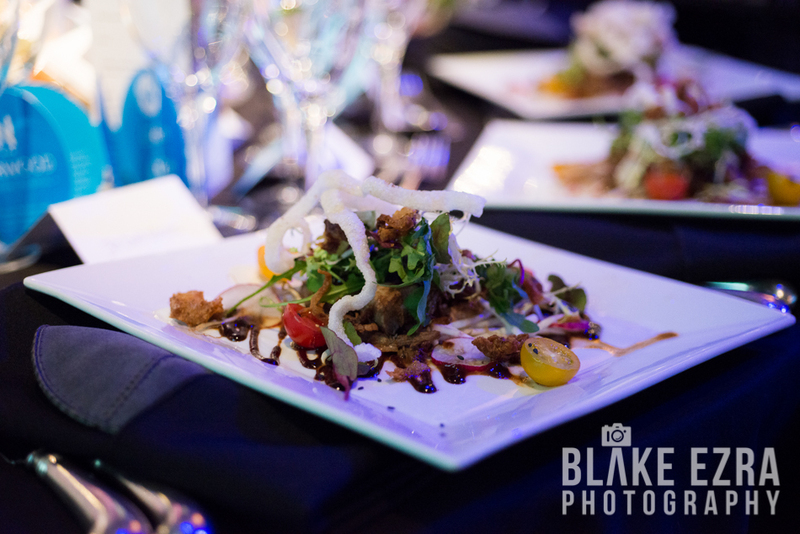 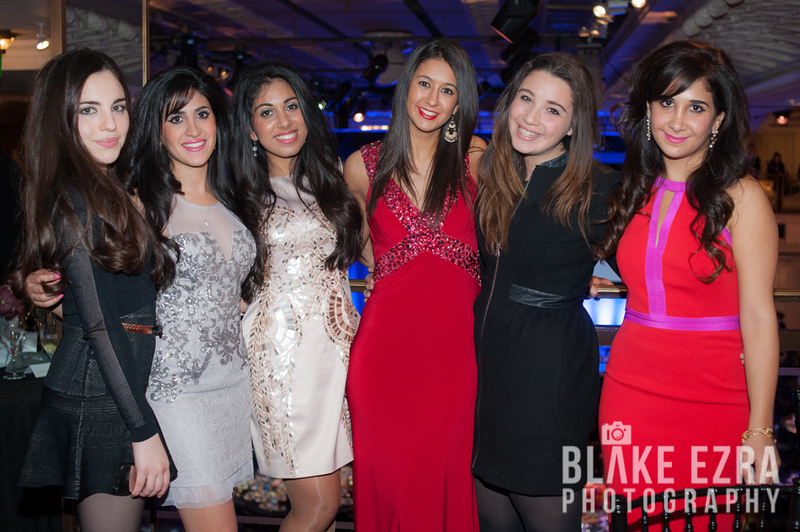 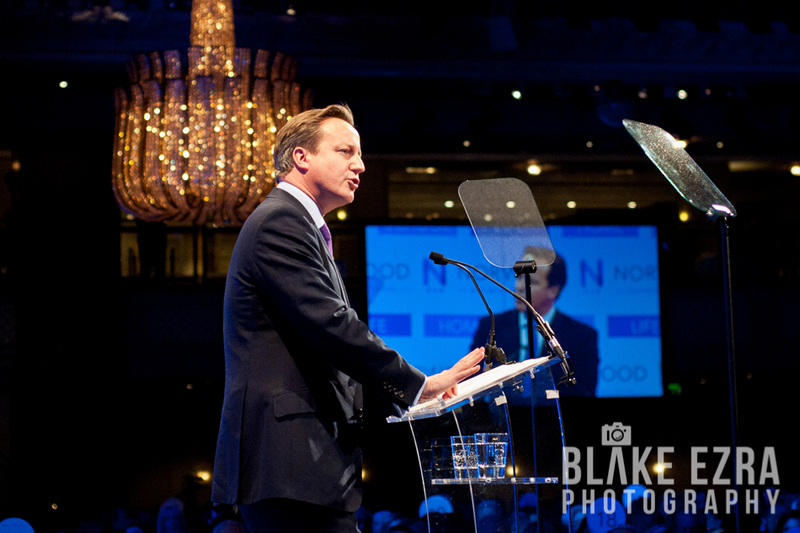 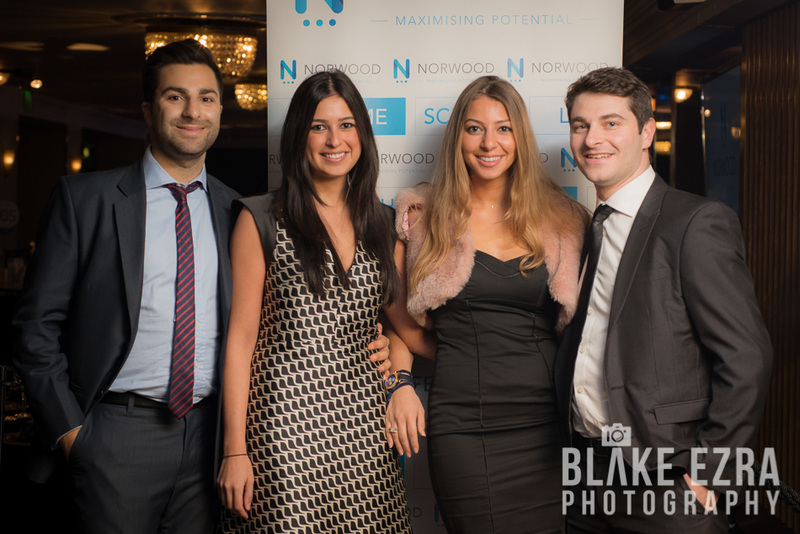 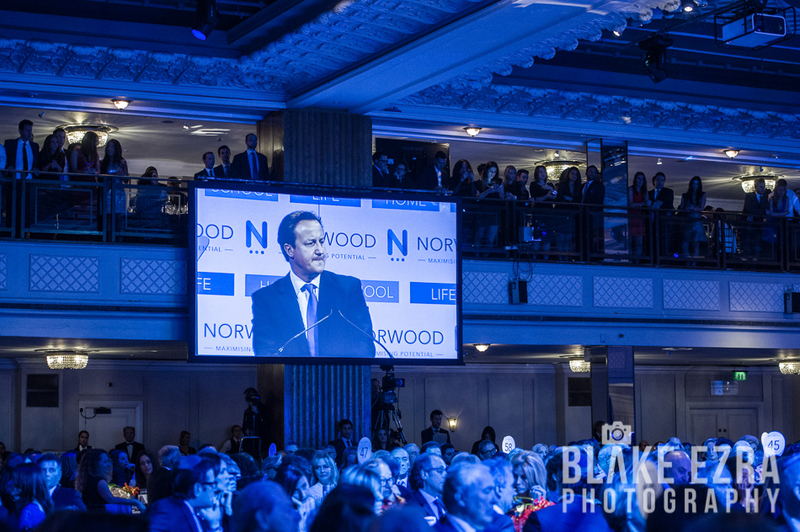 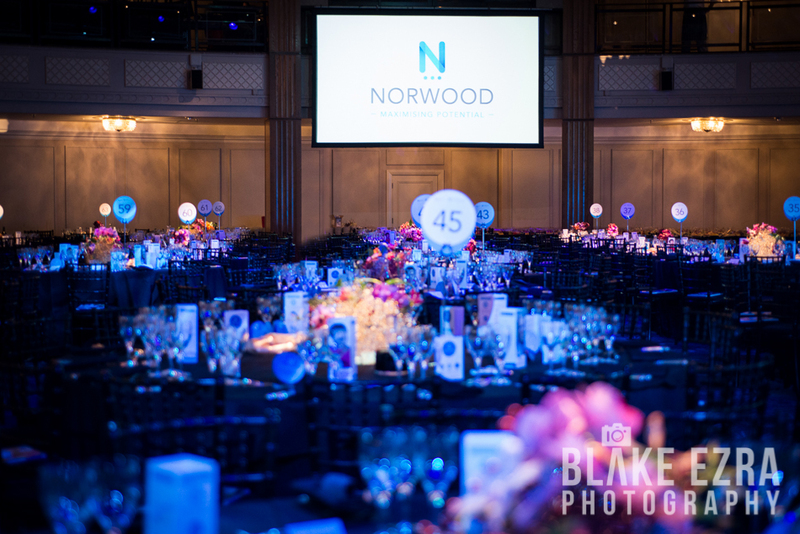 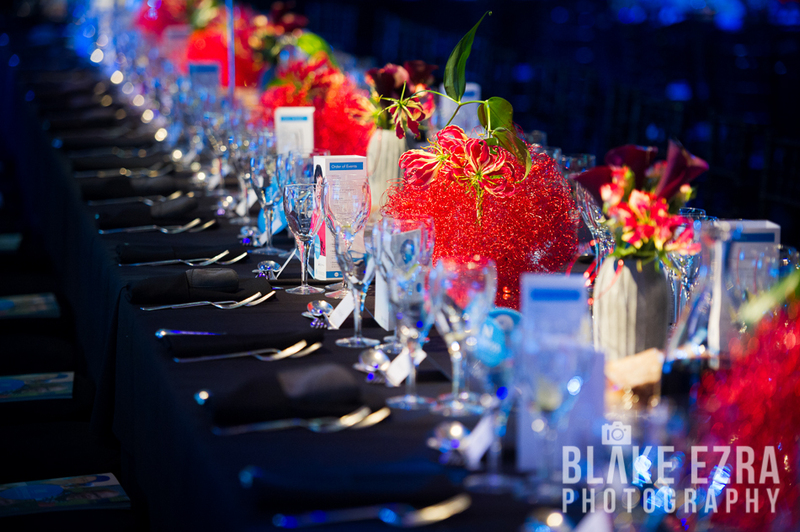 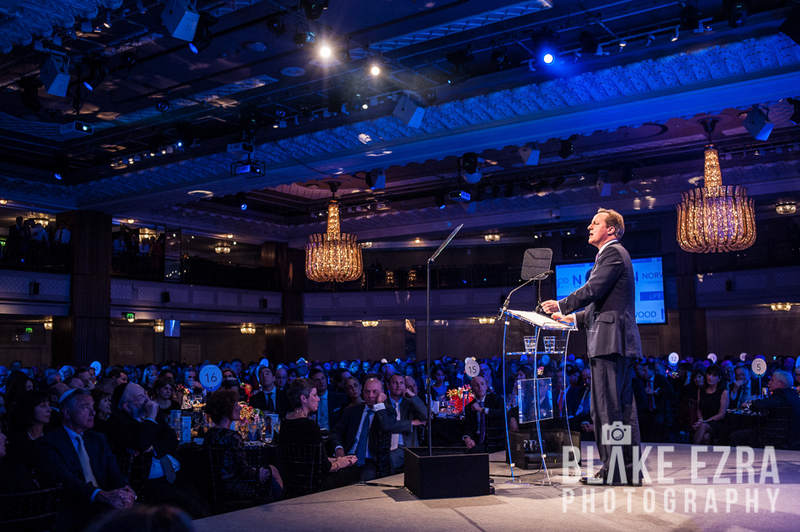 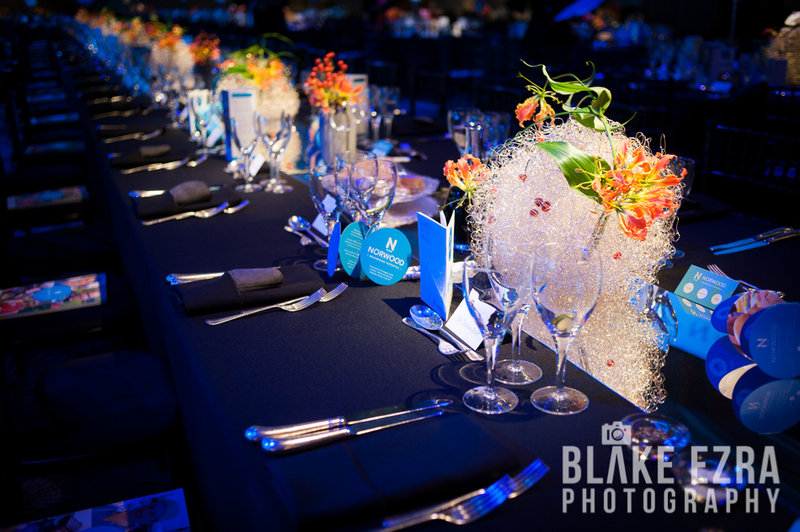 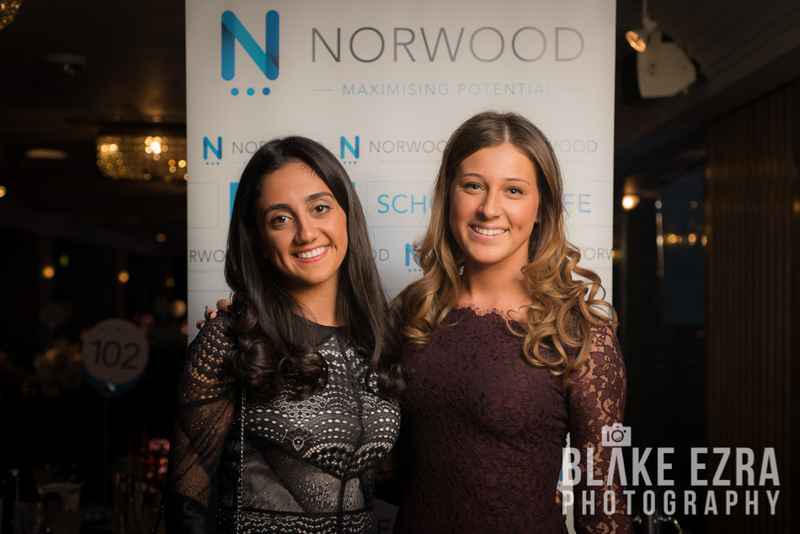 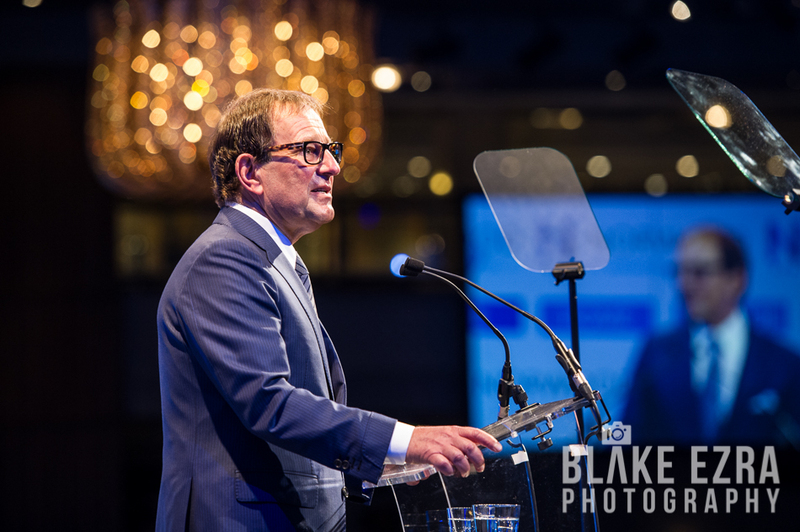 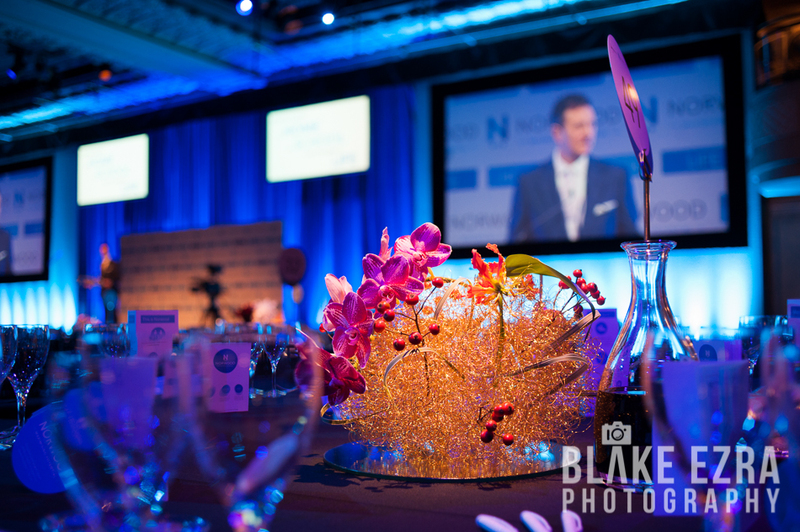 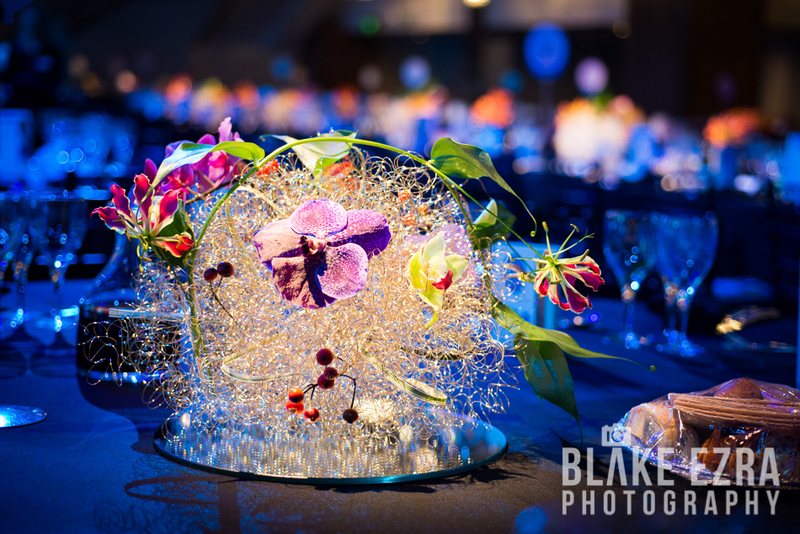 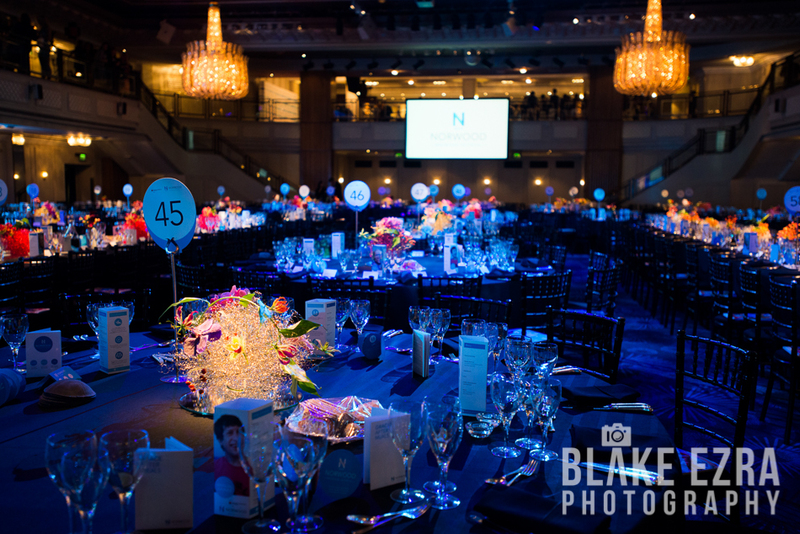 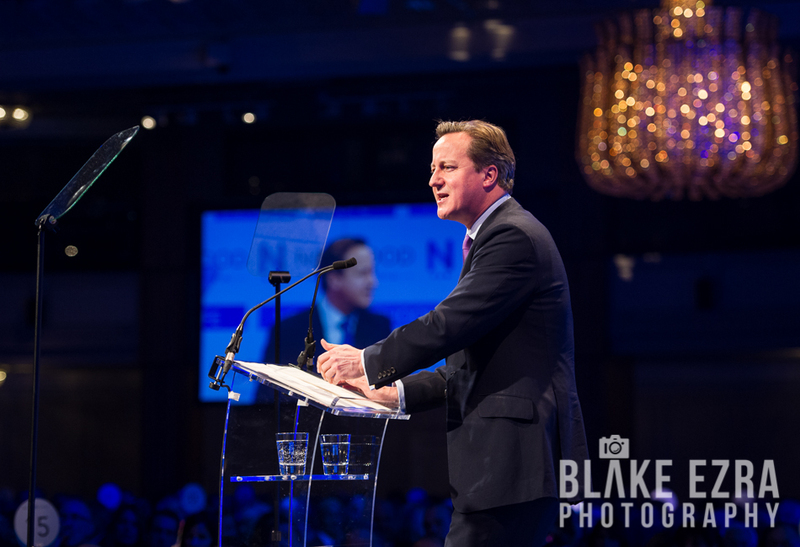 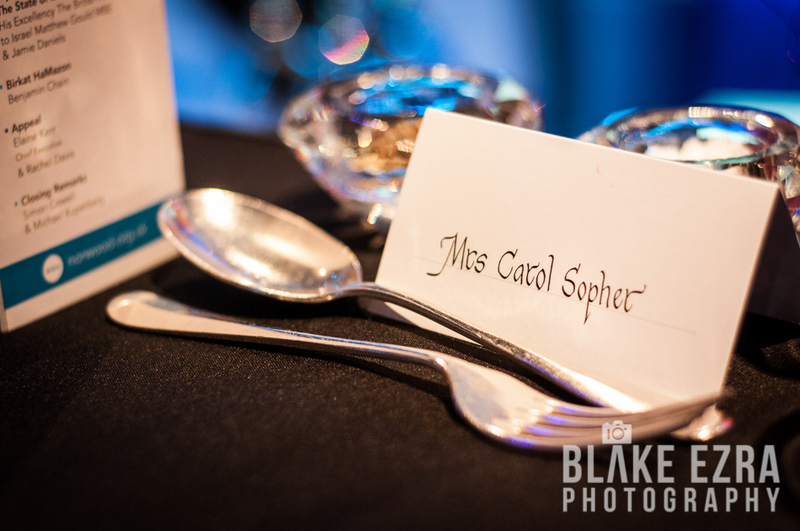 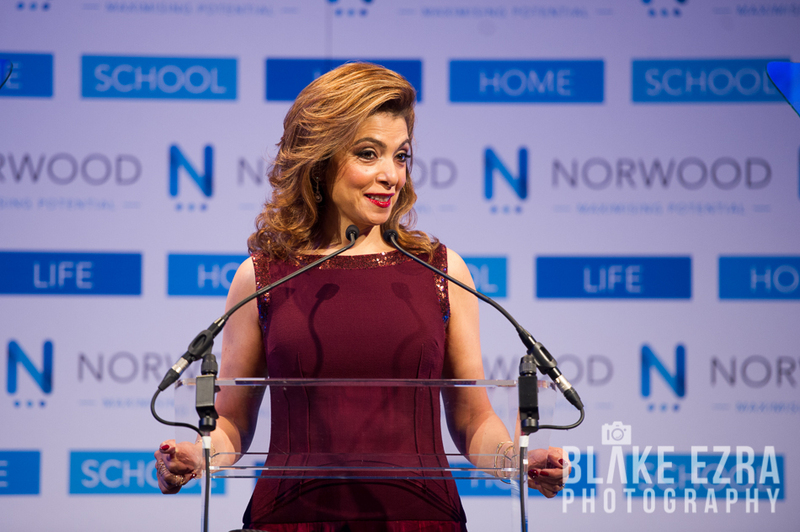 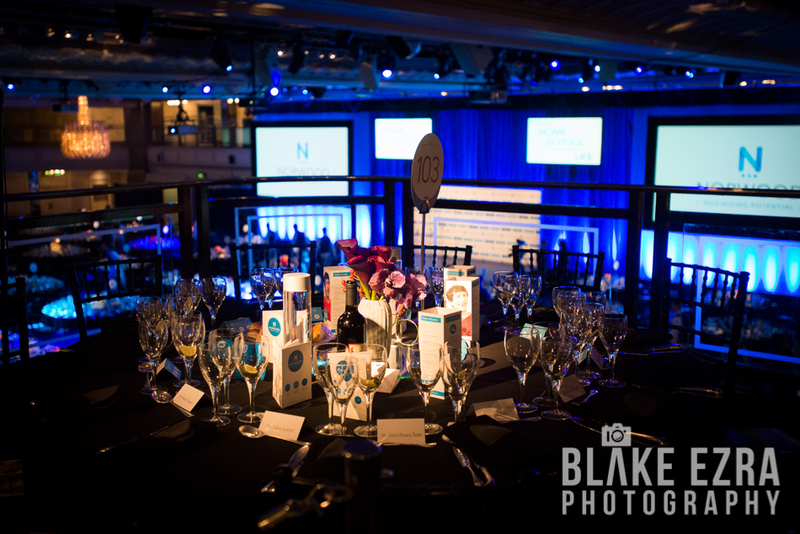 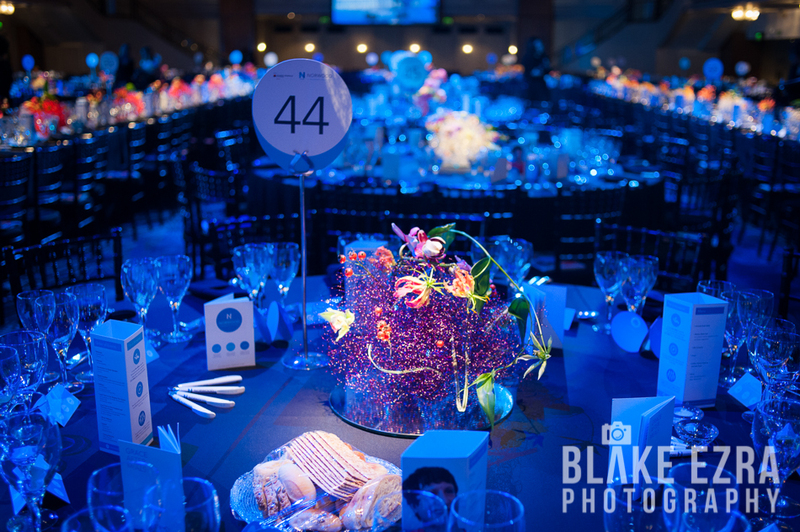 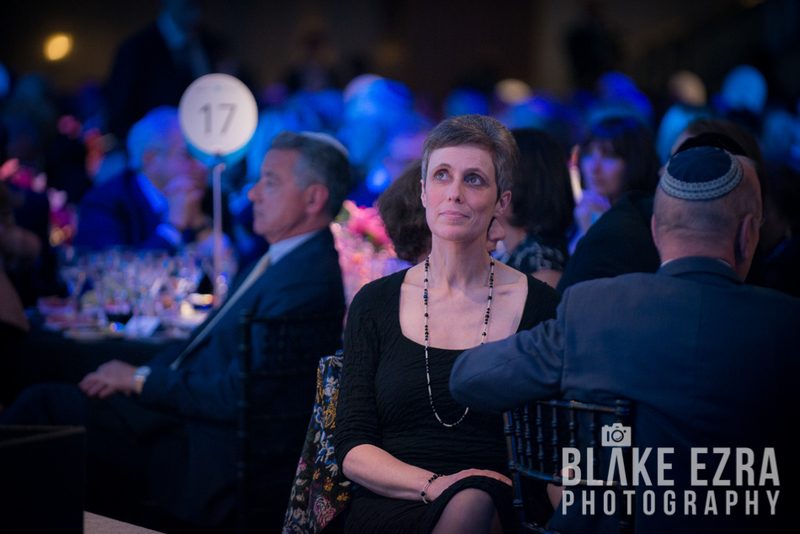 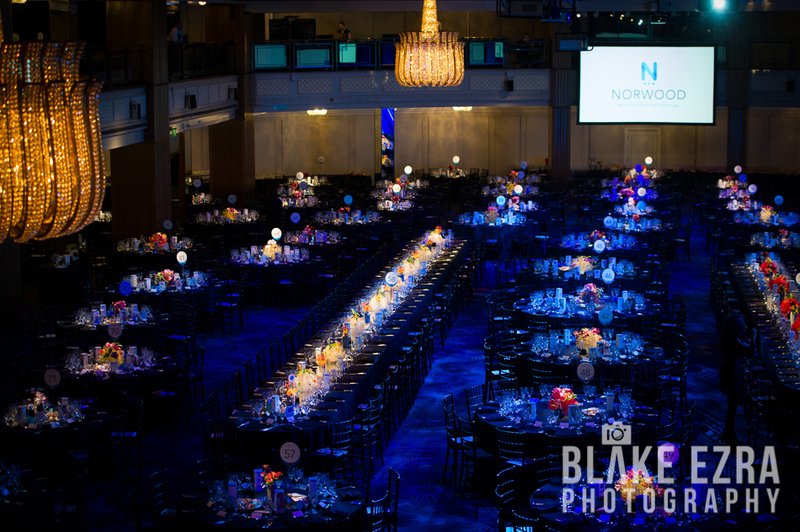 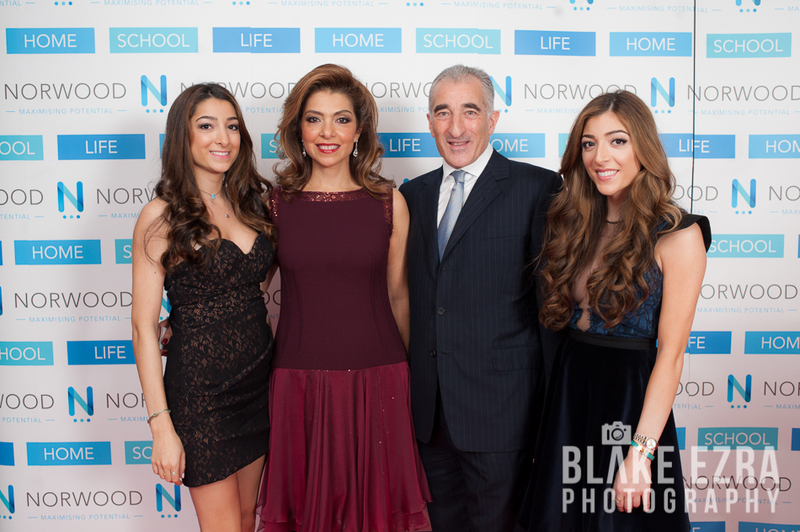 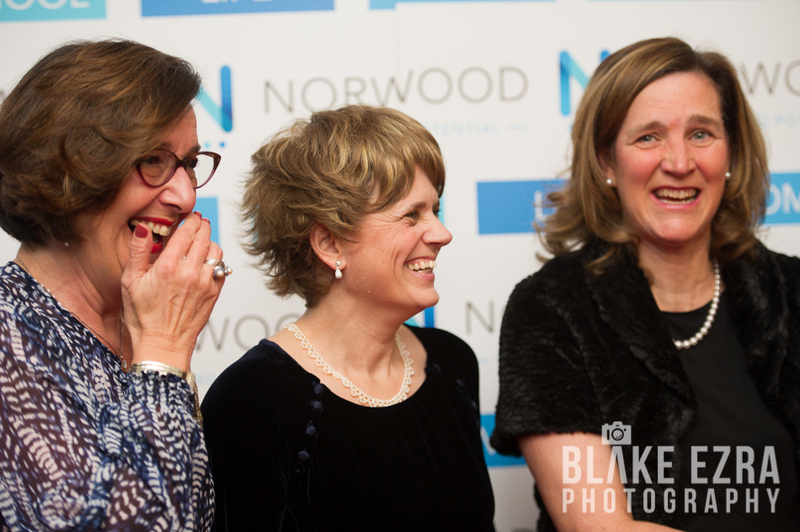 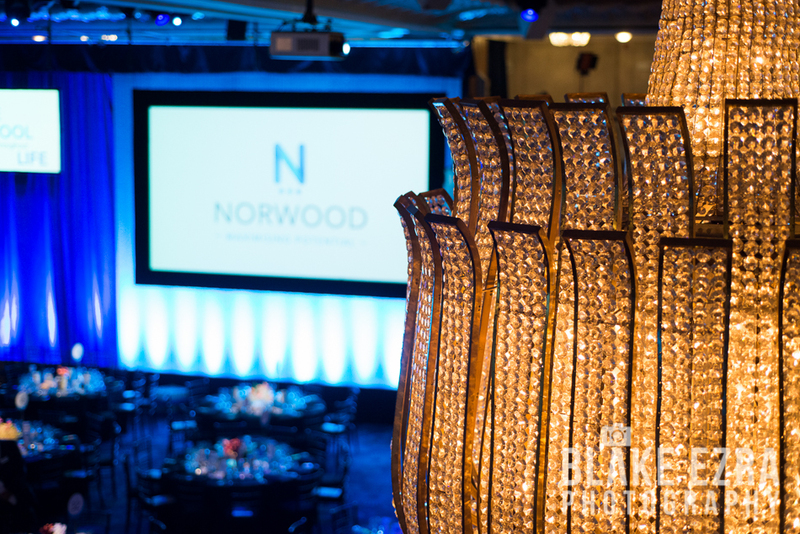 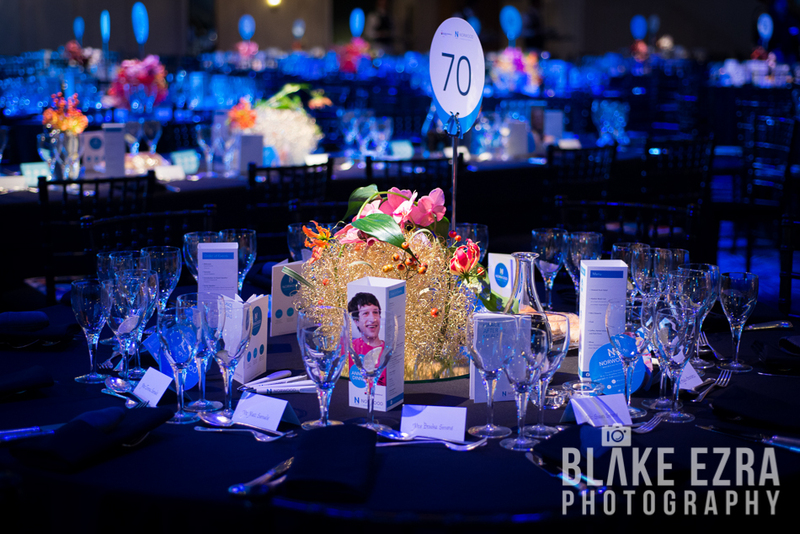 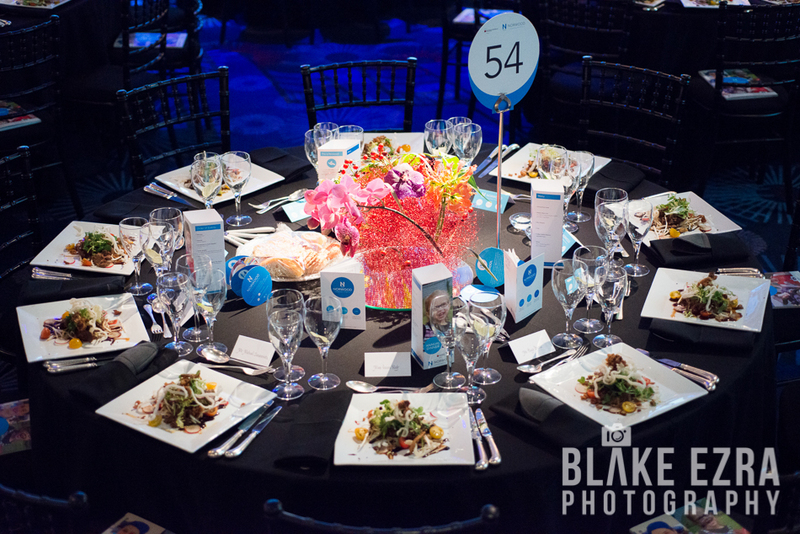 Last night our team were photographing a spectacular event in the charity and social calendar, as 1300 people came to Grosvenor House for the Norwood Charity Annual Dinner. 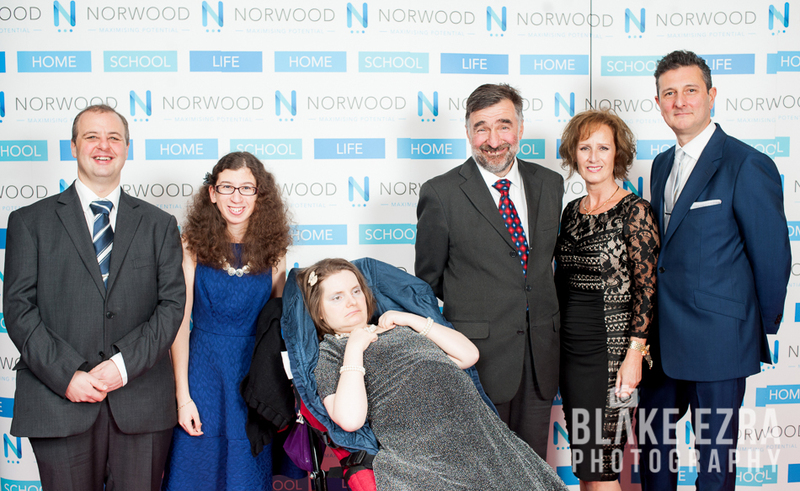 Norwood is a magnificent organisation, and one that is very close to my heart, as my great uncle was diagnosed with polio as a child and was severely disabled. 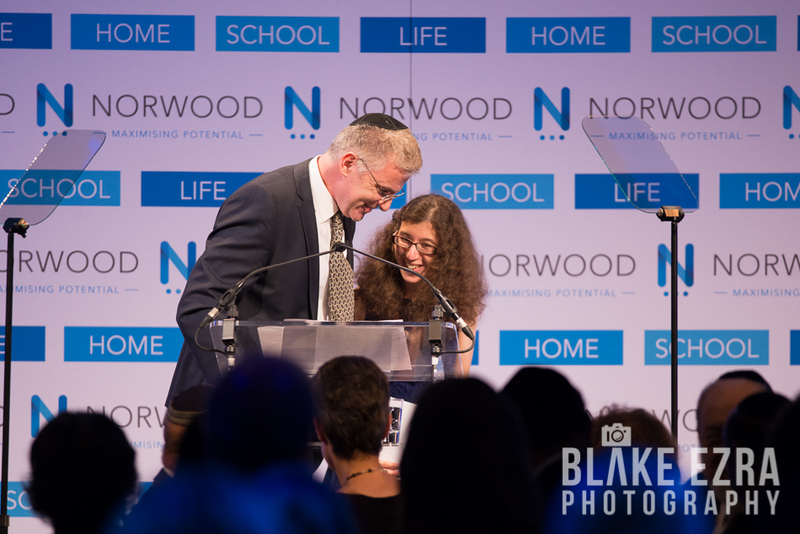 He lived for many years in Norwood’s Ravenswood Village in Berkshire, enjoying his weekly swimming sessions, remarkably having a fulfilled social life, and being able to celebrate all the Jewish festivals with his friends. 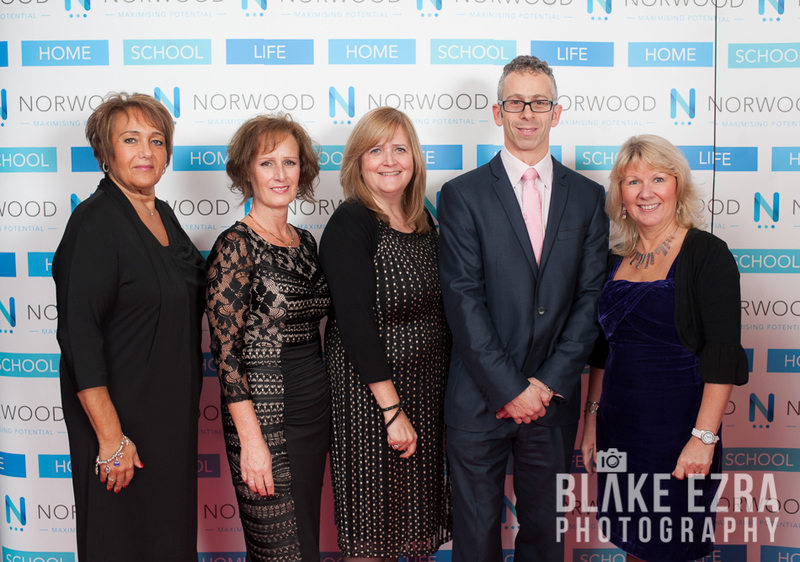 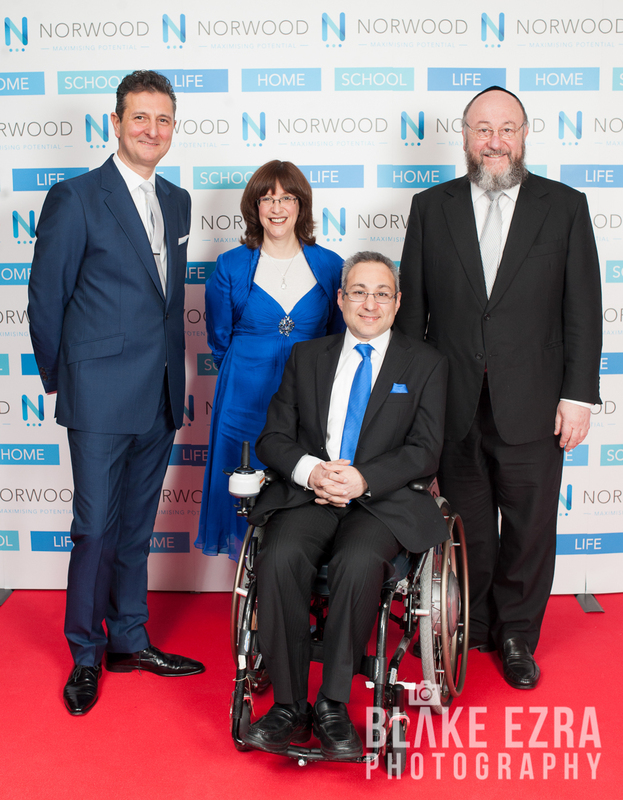 I was a regular visitor there as a child and remain in awe of the care that Norwood provide to those who need it. 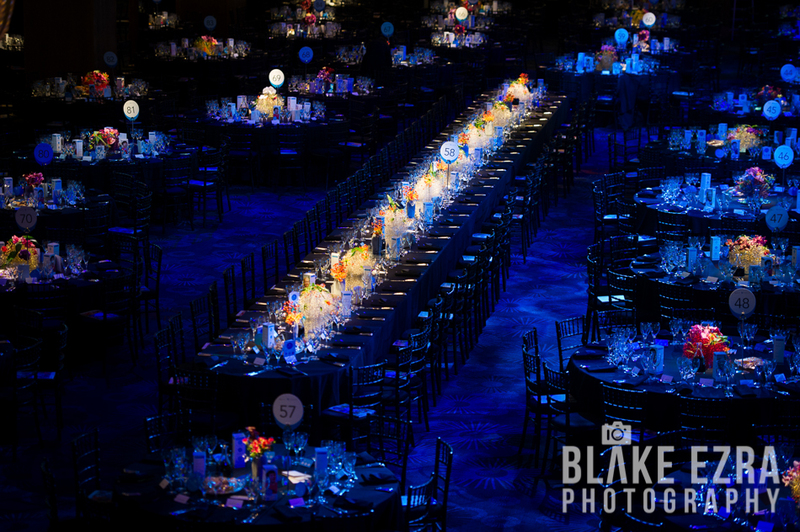 Back to Park Lane last night… and what a night it was. 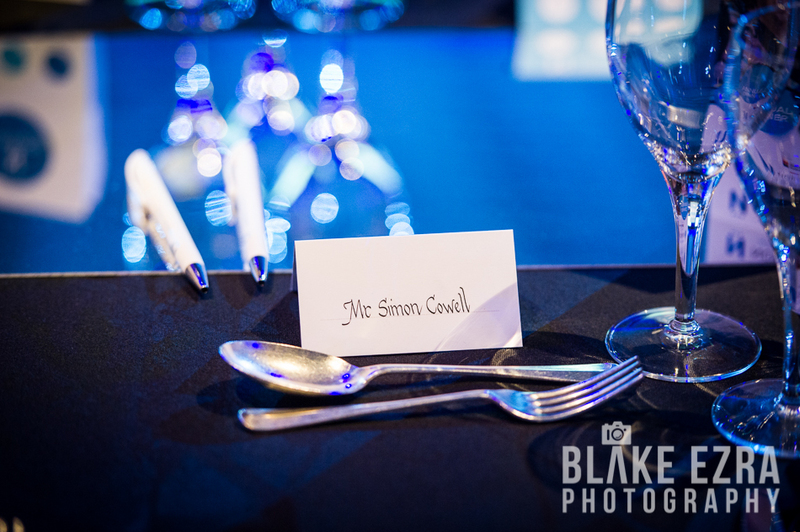 The guest list for this dinner, with a spectacular meal provided by Tony Page, read like a who’s who. 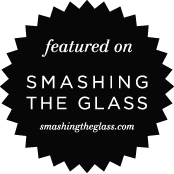 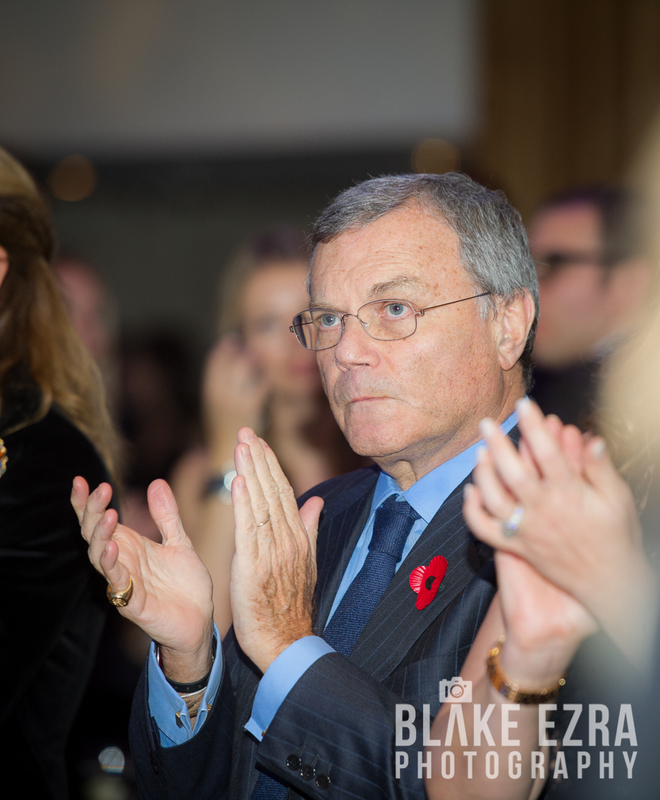 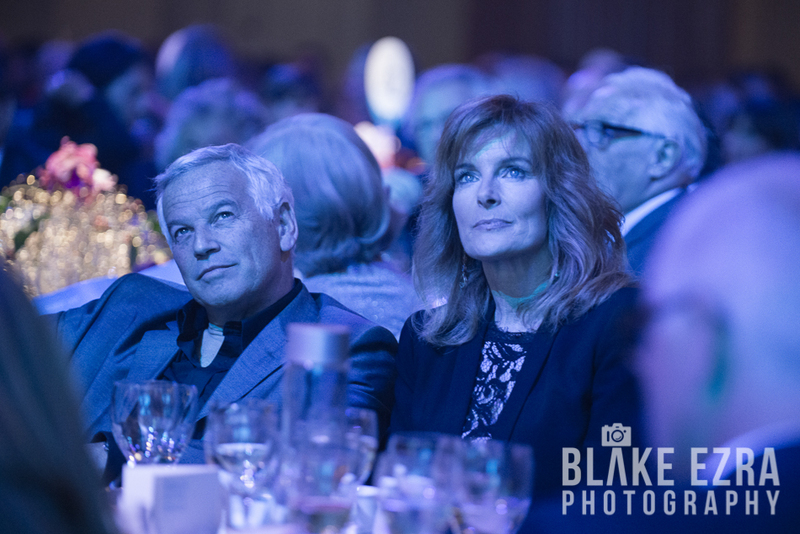 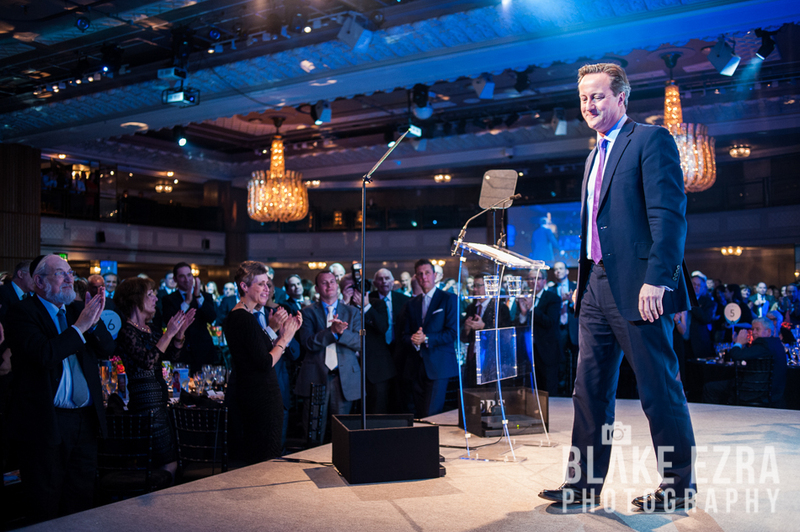 With the Prime Minister as Guest of Honour, he sat on the top table with (amongst many other VIPs) Sir Martin Sorrell, Baroness Karren Brady of Knightsbridge, Sir Philip Green, Richard and Joy Desmond, Simon Cowell and Lauren Silverman. 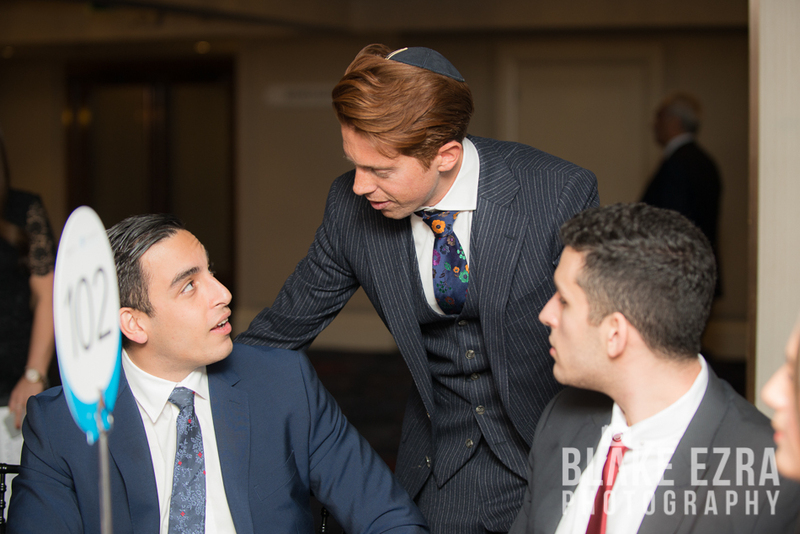 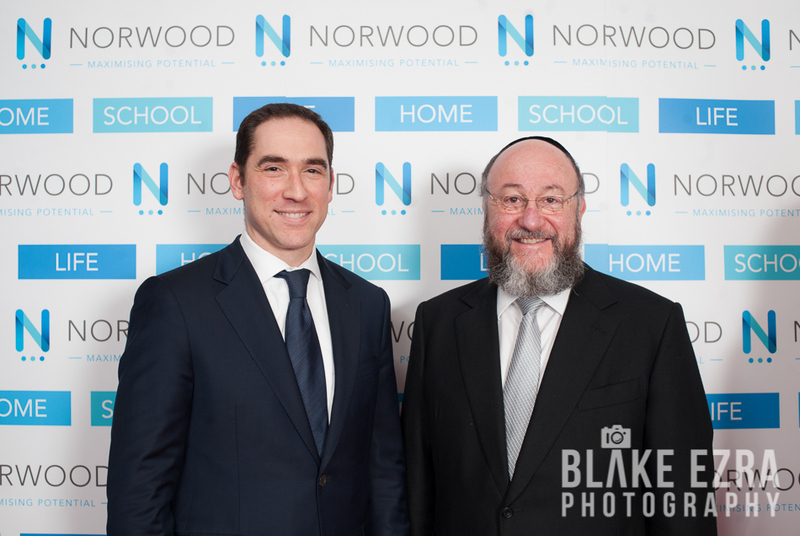 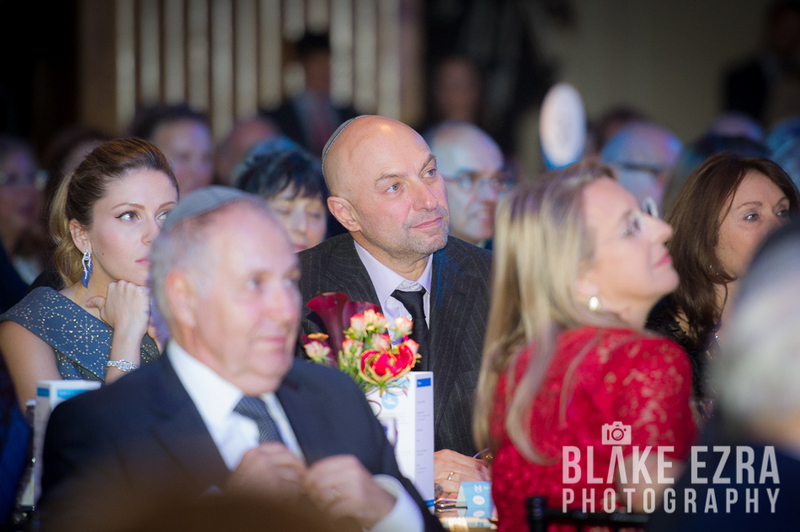 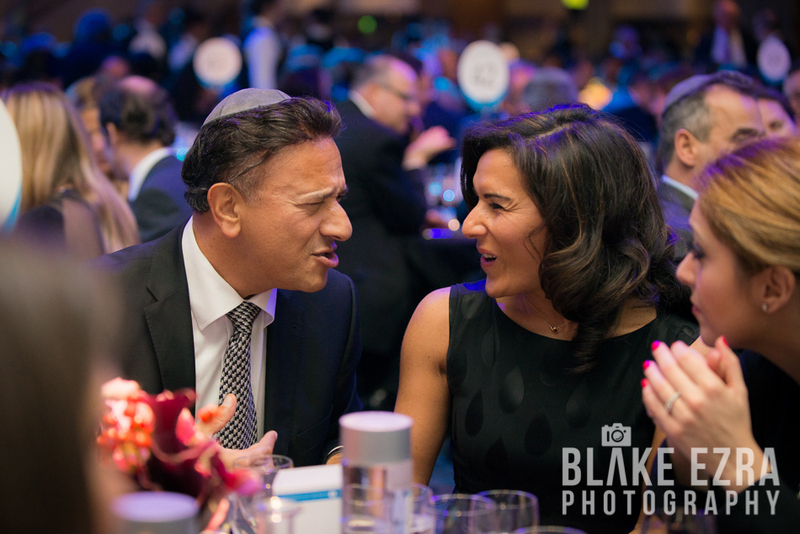 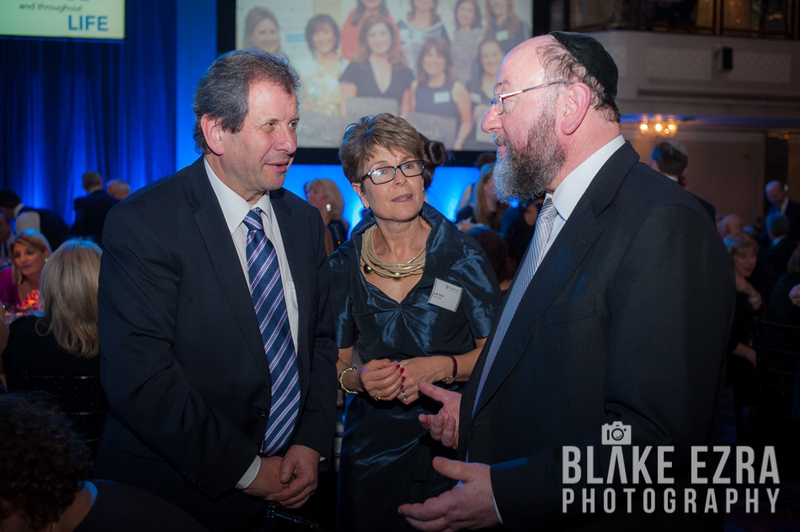 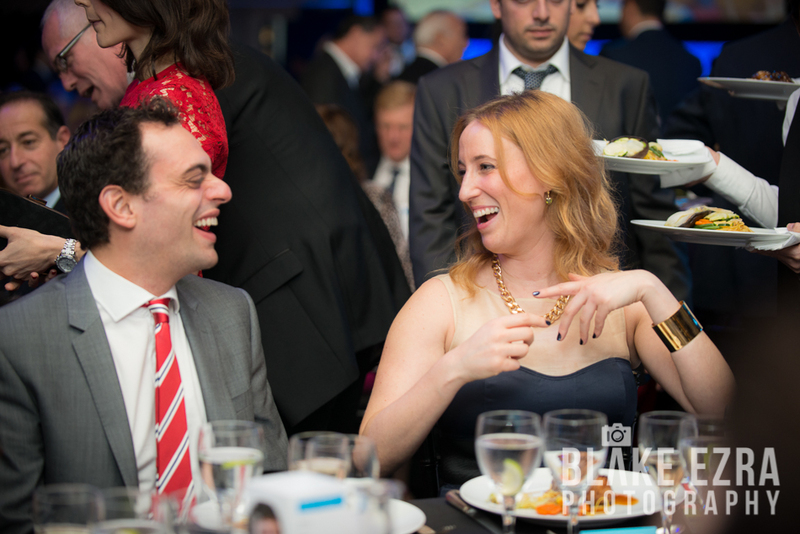 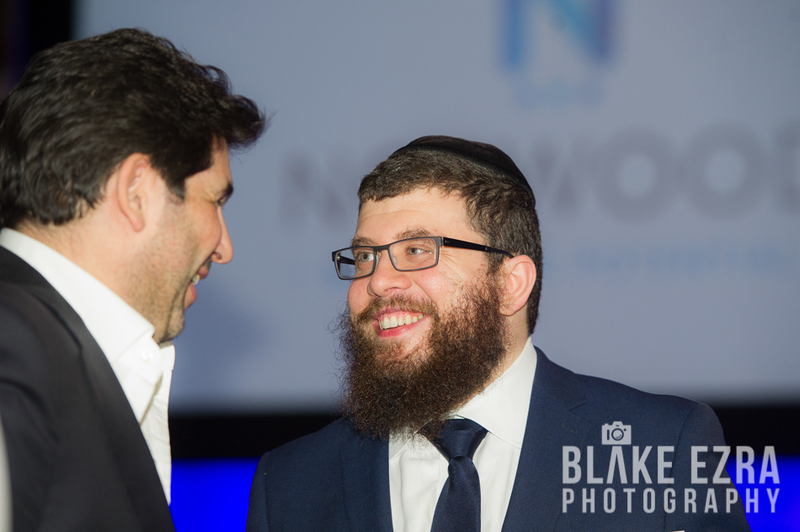 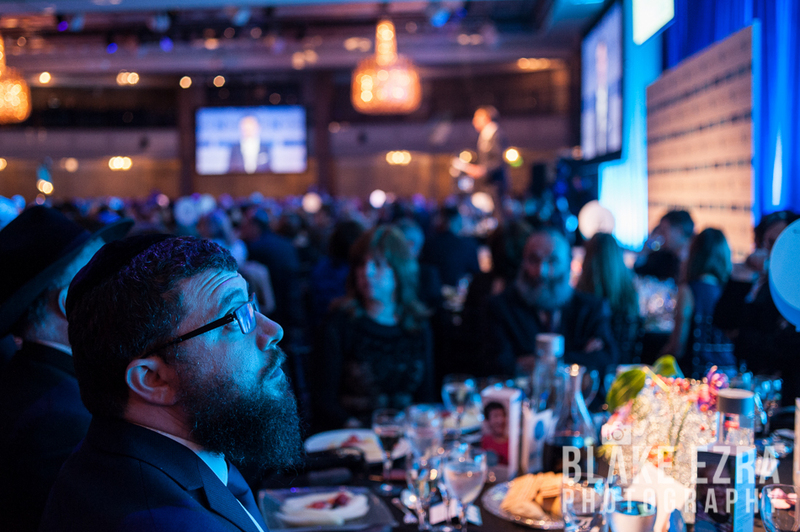 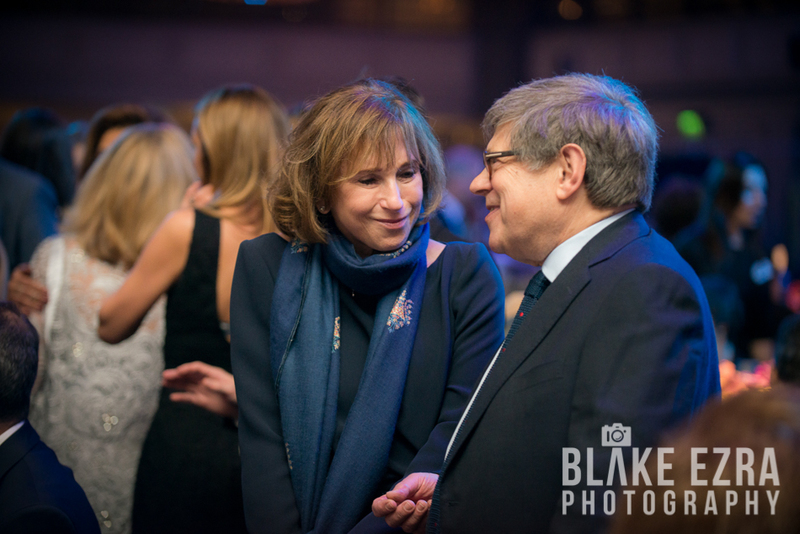 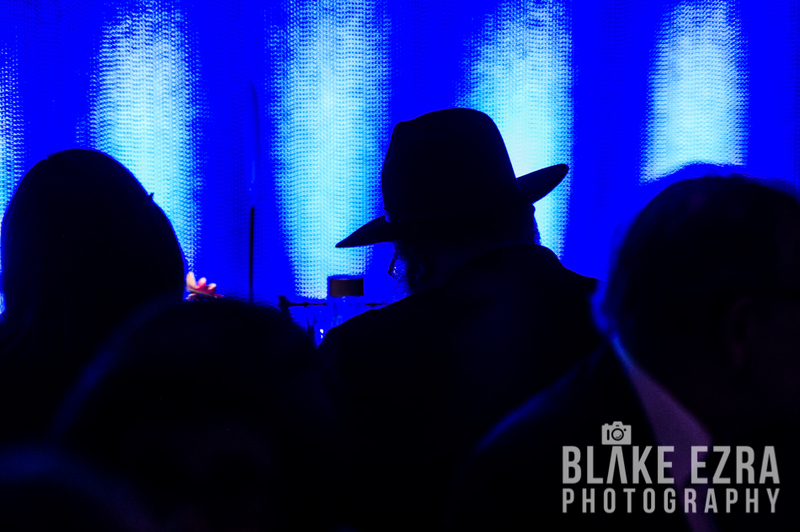 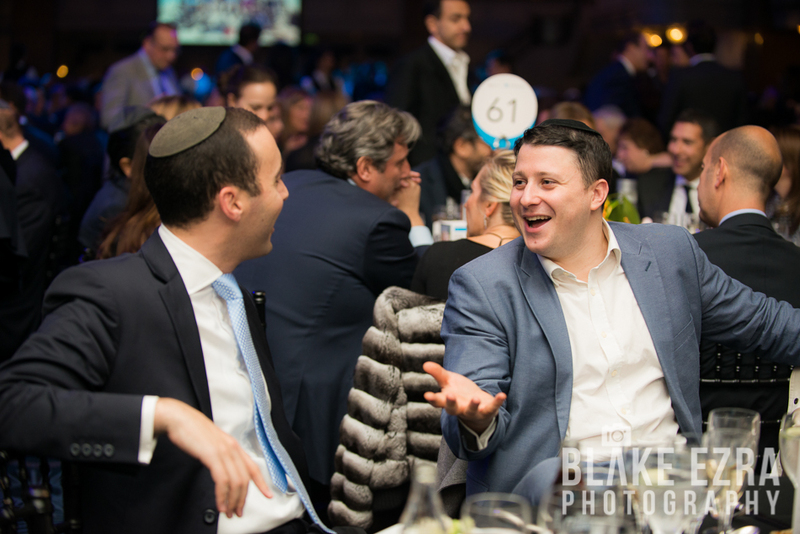 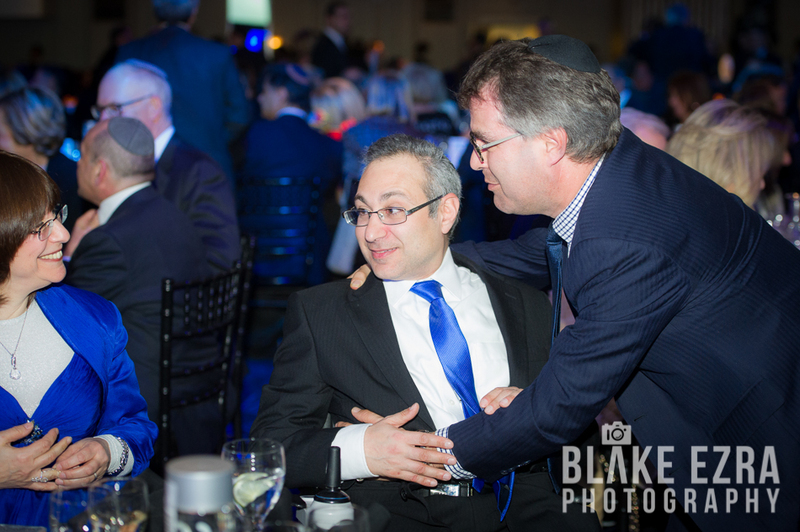 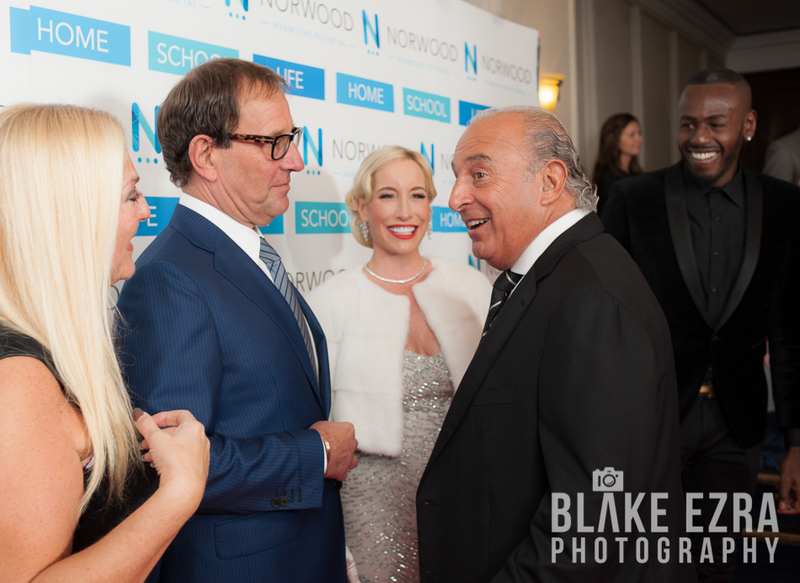 Throughout the room were Rabbis (including Chief Rabbi Mirvis and Rabbi Joseph Dwek), Ambassadors (including Daniel Taub and Matthew Gould), and numerous familiar faces including many of our valued clients – all coming together to support a great cause and give back to the community. 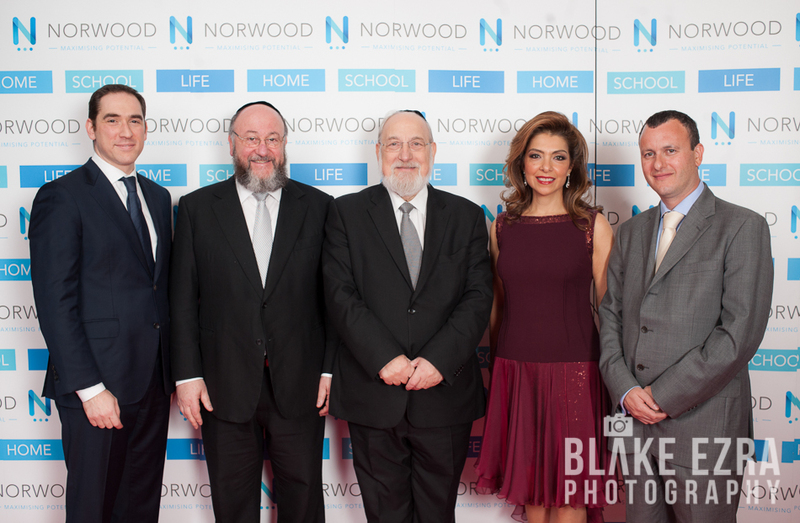 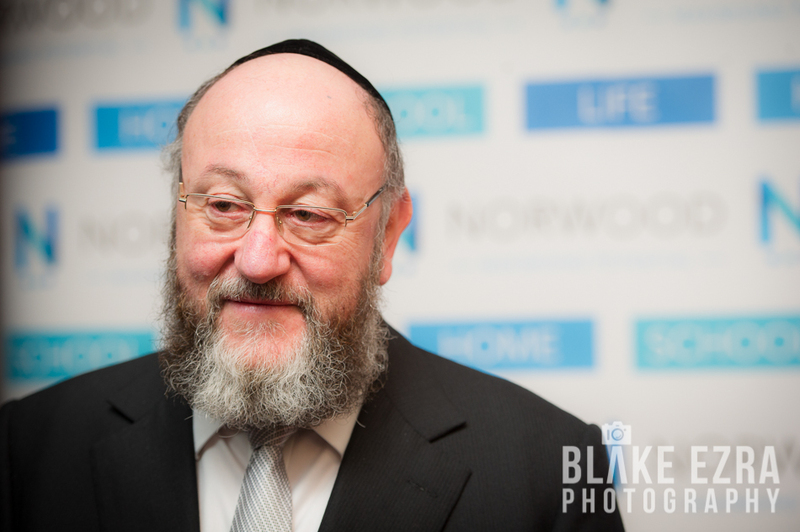 Norwood is the only Jewish charity in the UK to enjoy the Patronage of Her Majesty The Queen, and is over 200 years old – making it one of the oldest welfare charities in the country. 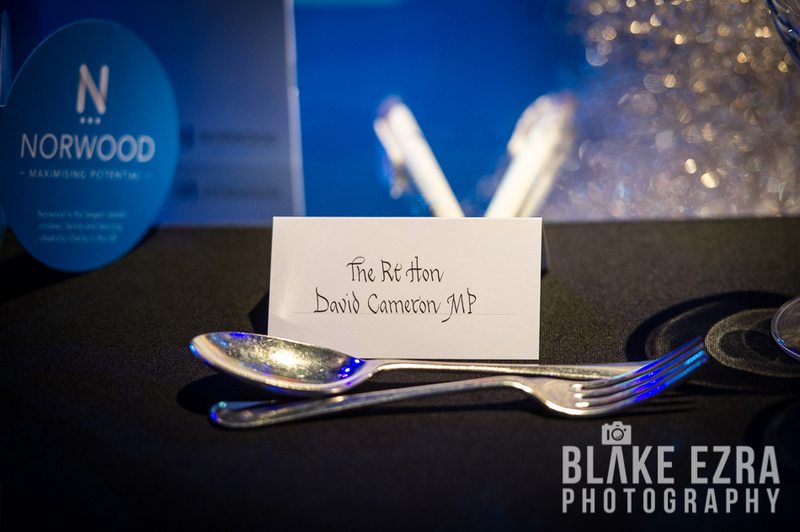 It is truly inspirational. 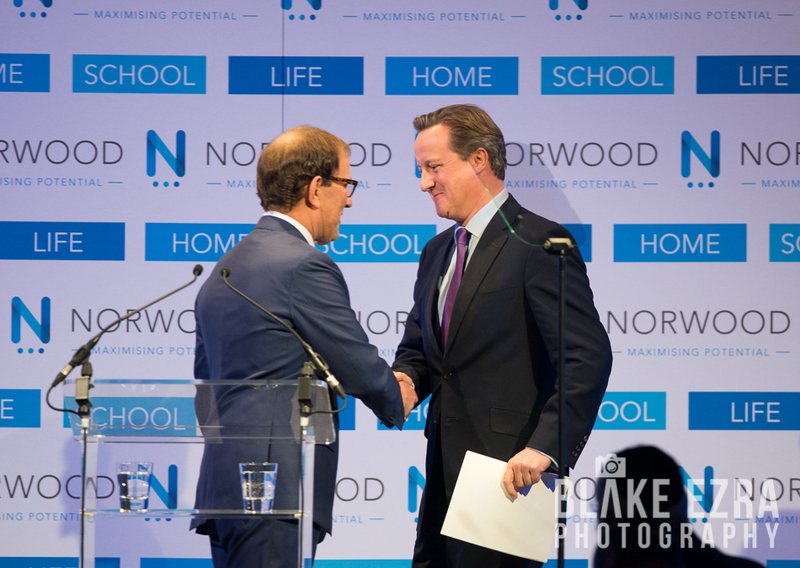 A brilliantly surprising moment happened yesterday. 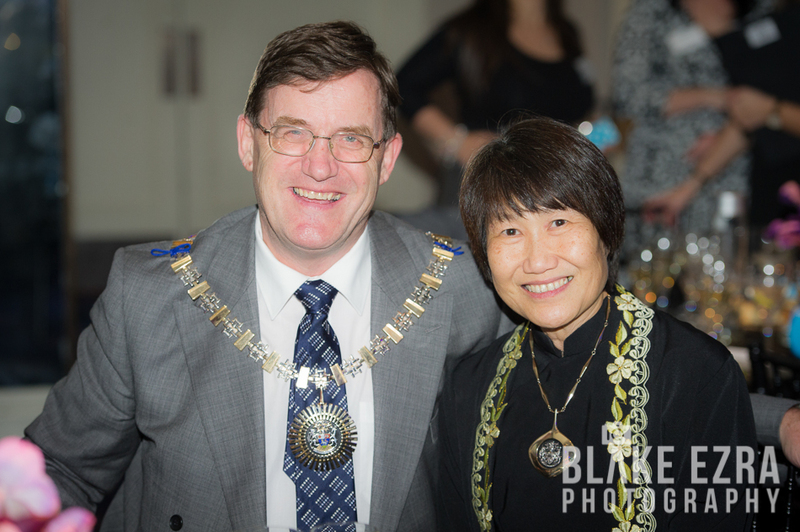 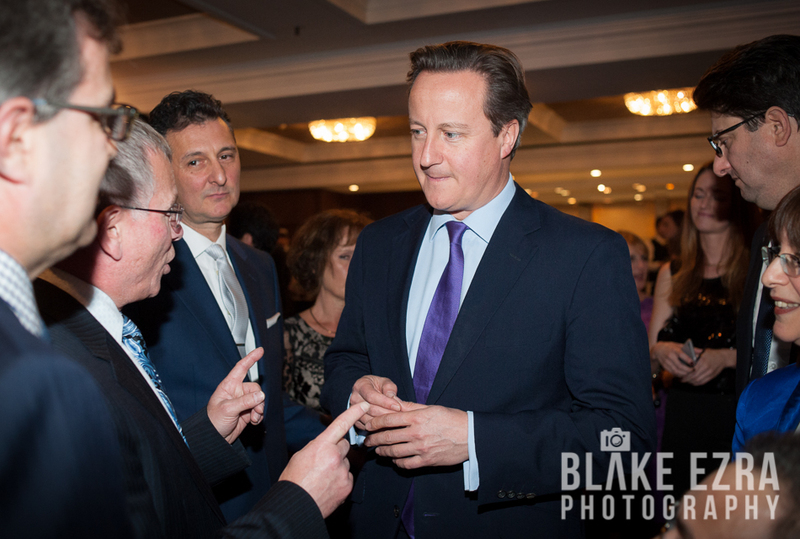 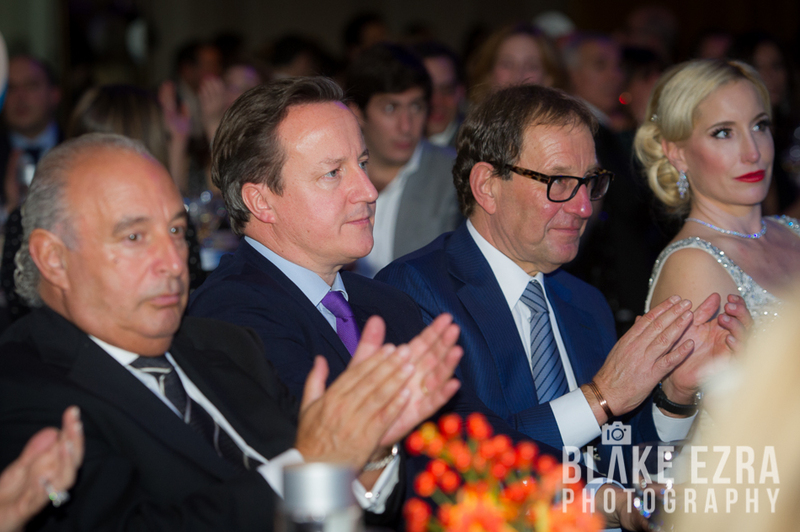 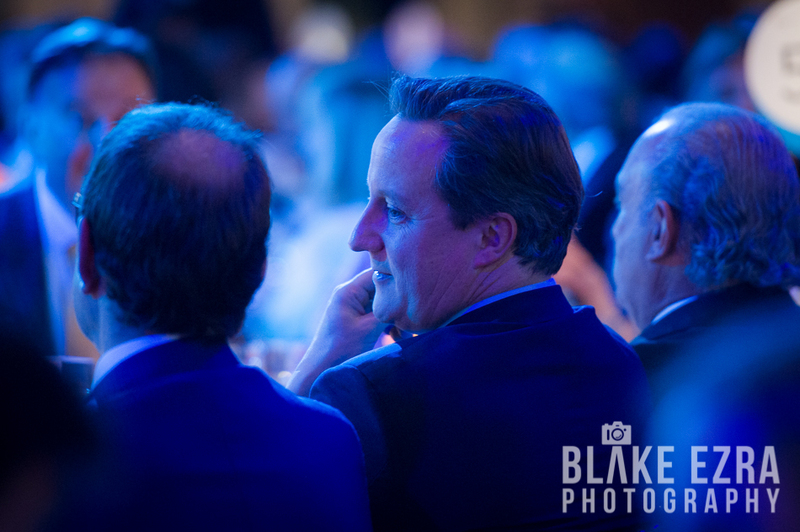 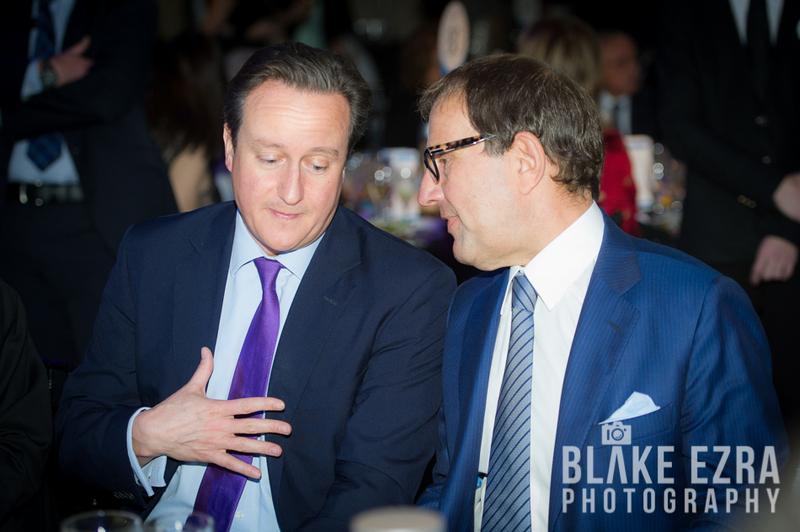 I stood near the top table, Richard Desmond requested a photograph of some VIPs, including the Prime Minister who was deep in conversation. 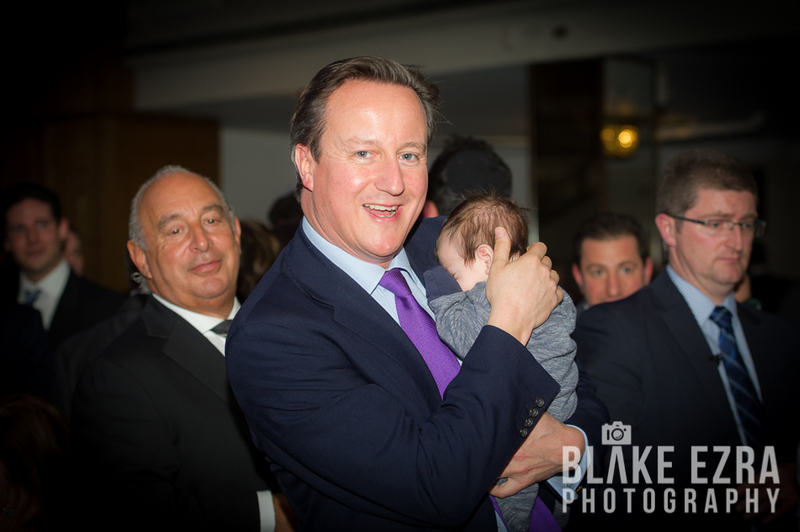 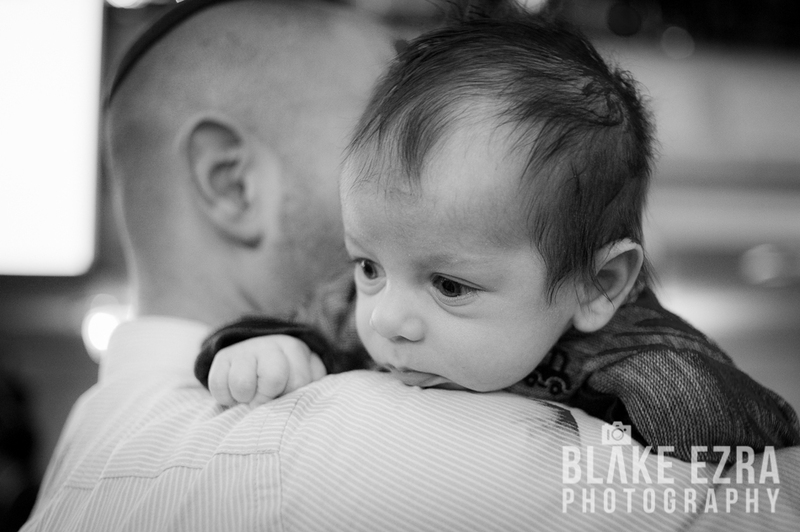 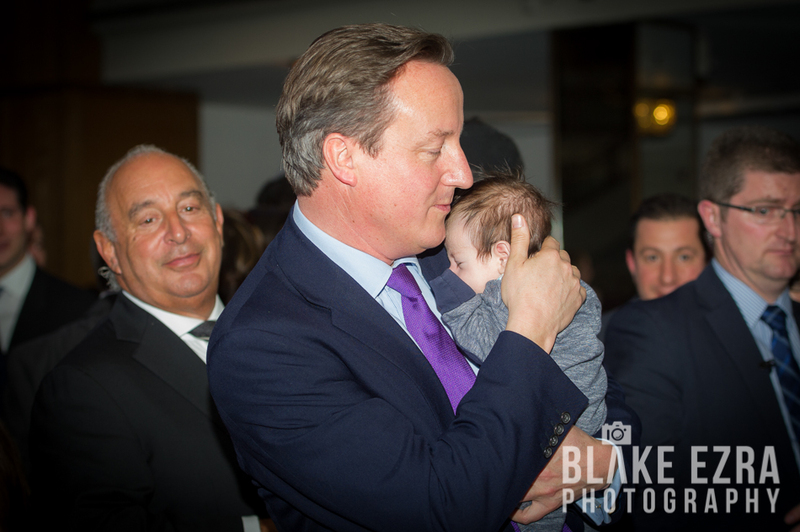 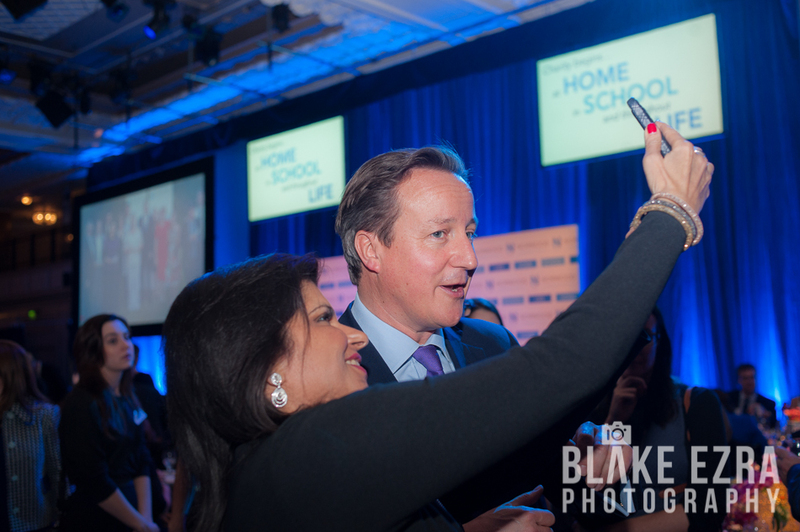 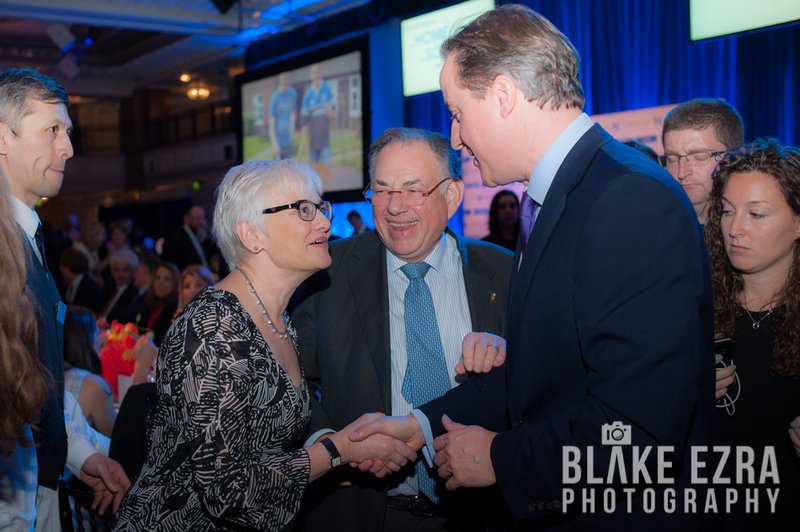 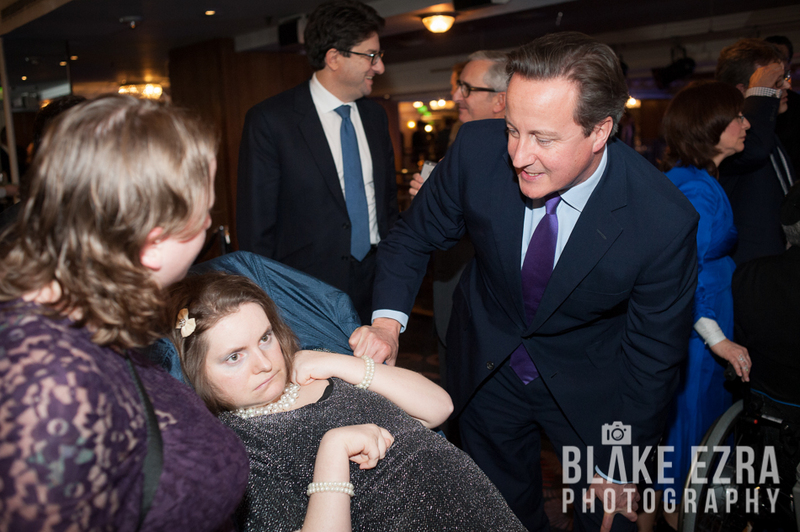 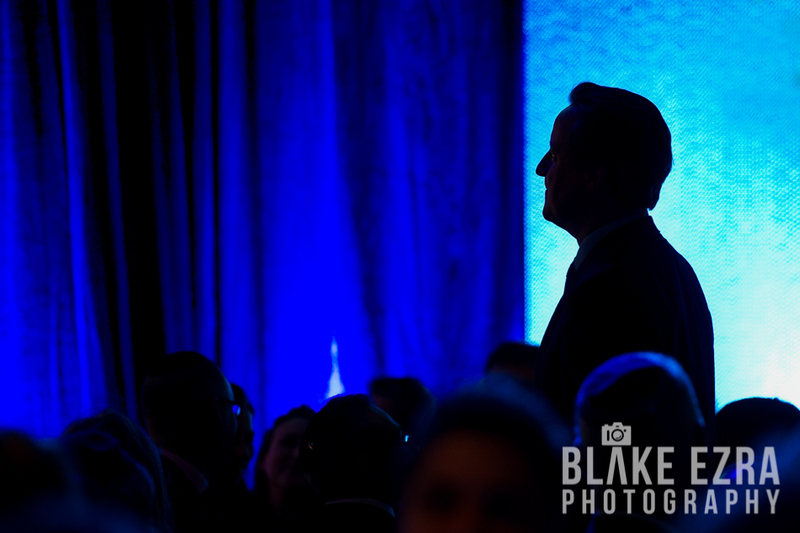 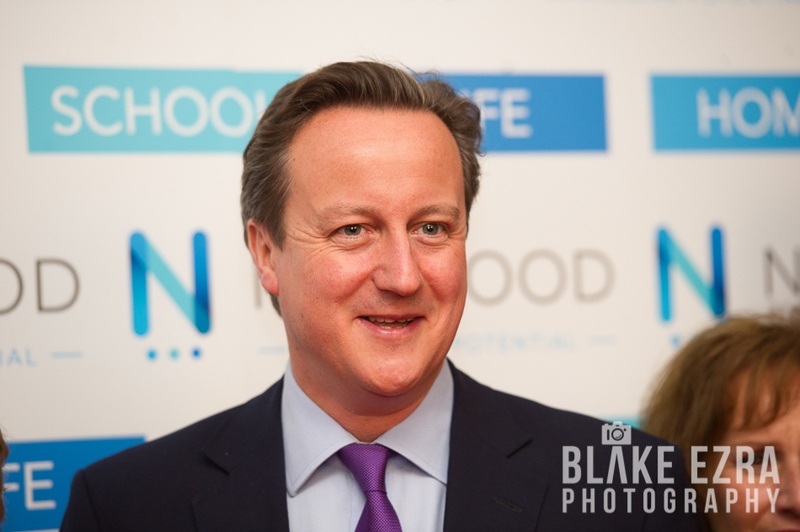 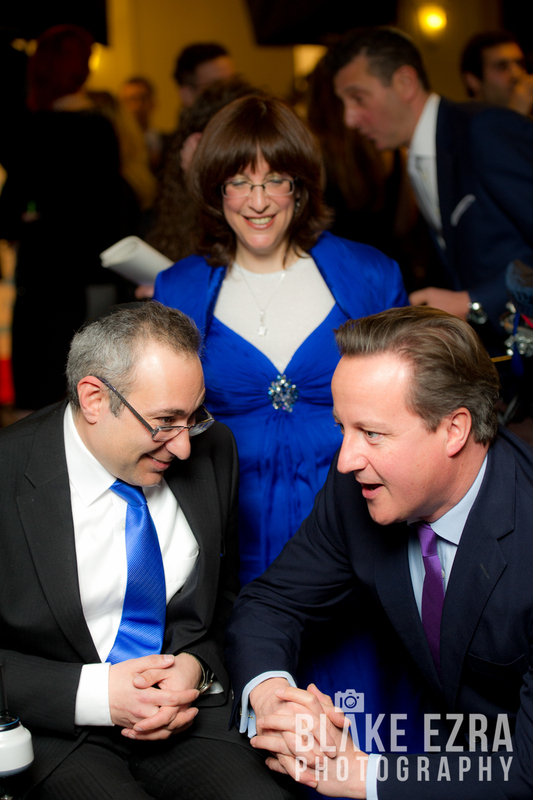 At the moment we managed to have everyone ready for the photograph, looking towards my camera, the Prime Minister received a tap on the shoulder and a surprise visit from Norwood’s youngest supporter at the dinner, as Deborah and David had brought their six-week-old son Avishai to meet Mr. Cameron. 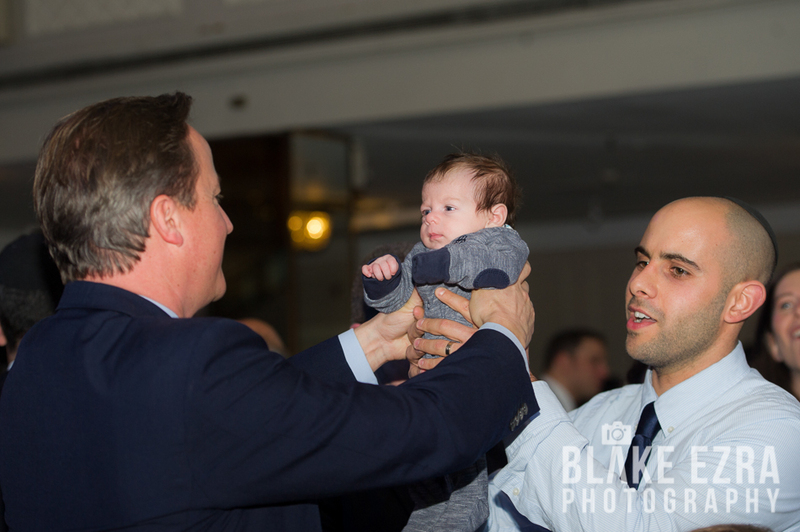 He turned around, and knowing smiles were exchanged between us all as if to say… ‘What can you do, everyone loves a cute baby!’ Avishai had the full attention of the Prime Minister for a few minutes, it was very cute and a reminder that behind the politics, the diplomacy and the poise, Mr. Cameron is a family man. 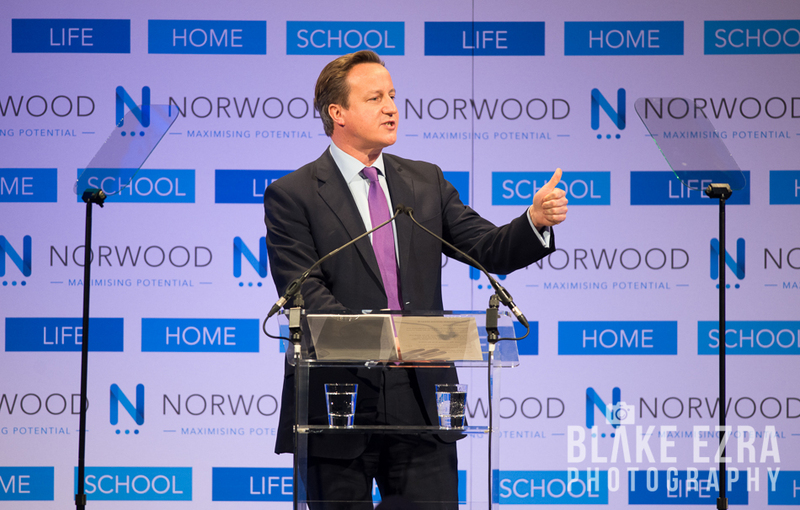 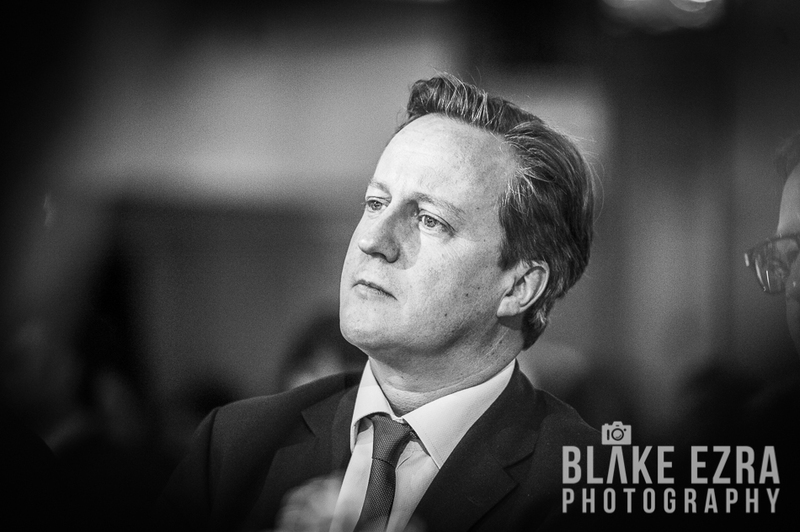 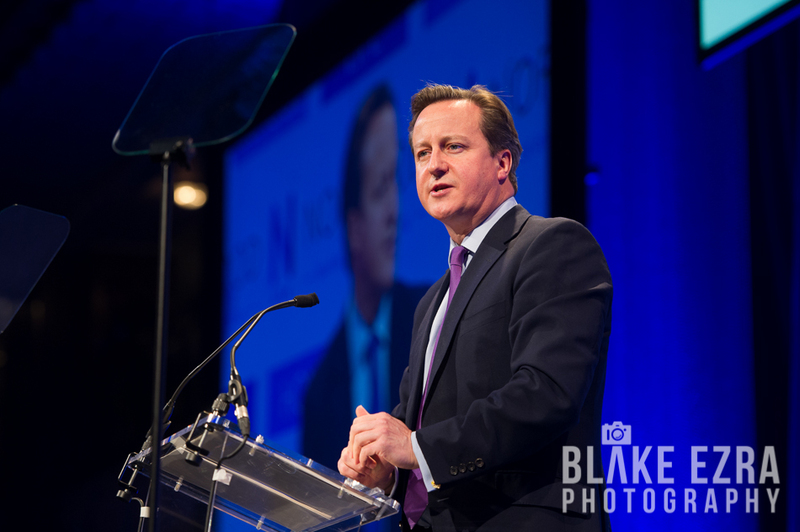 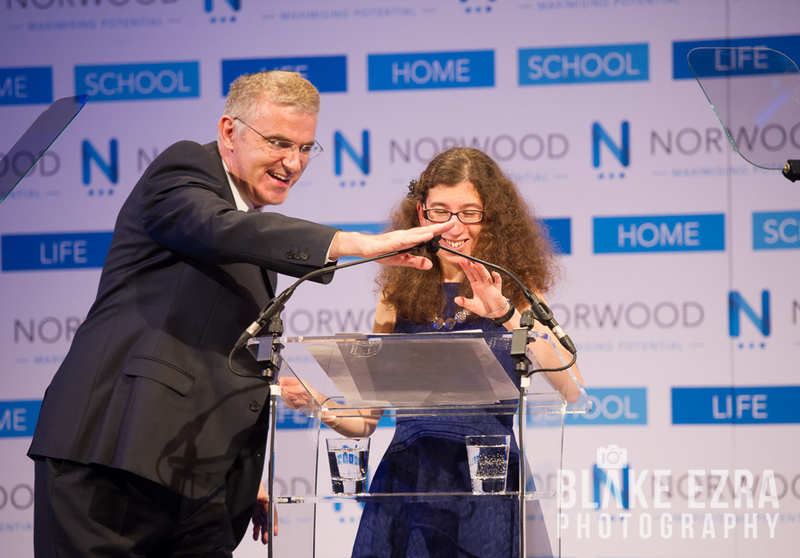 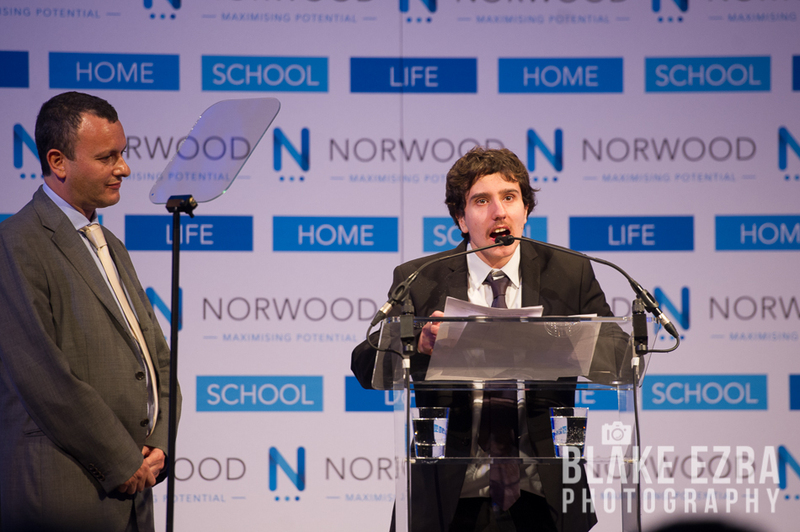 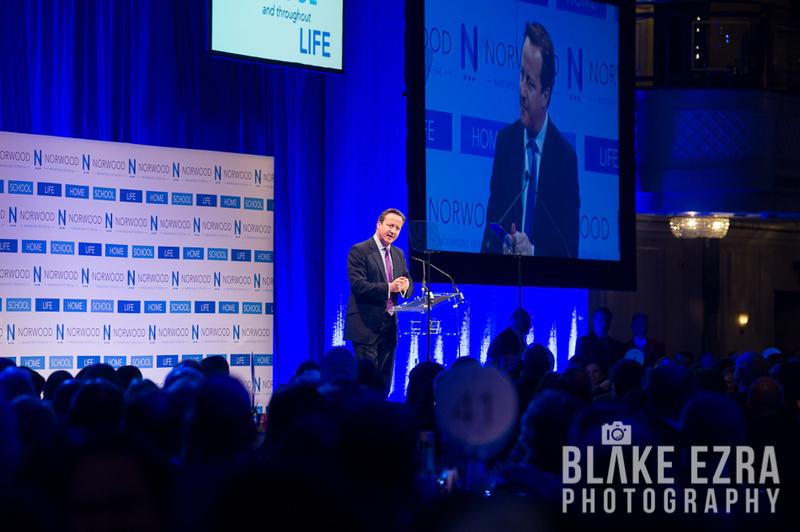 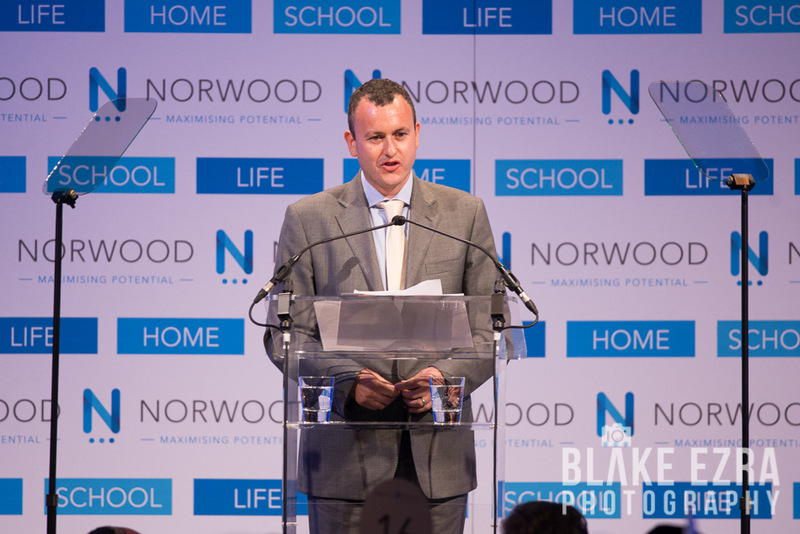 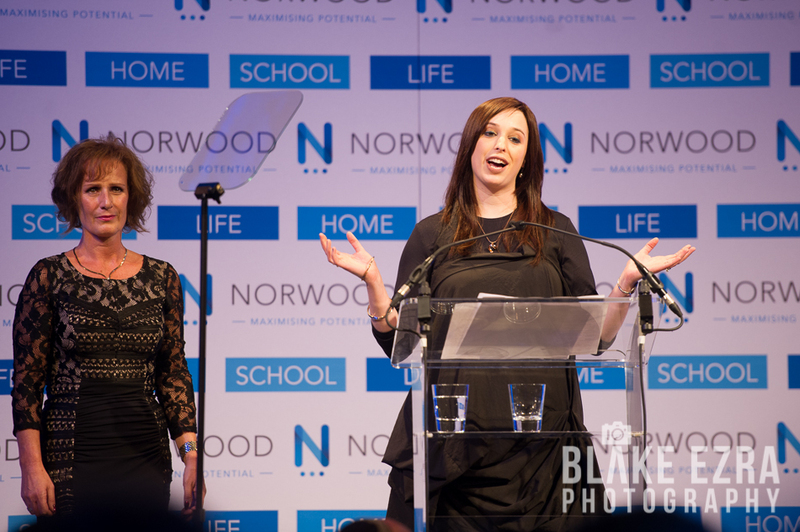 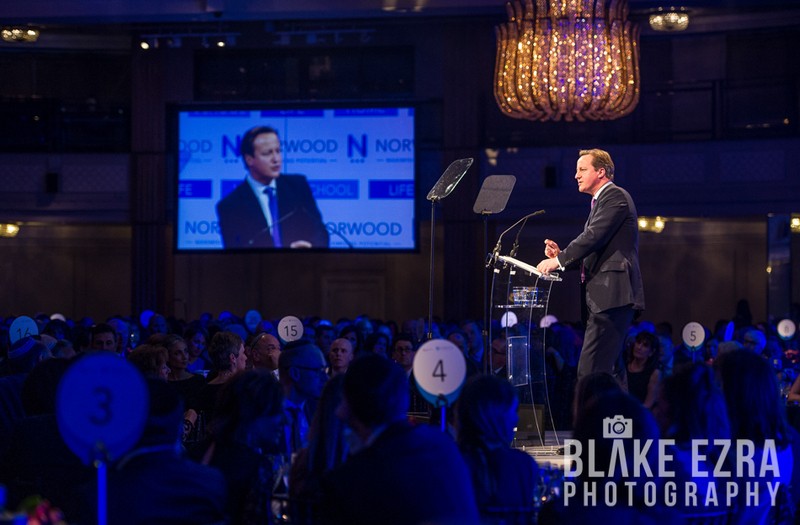 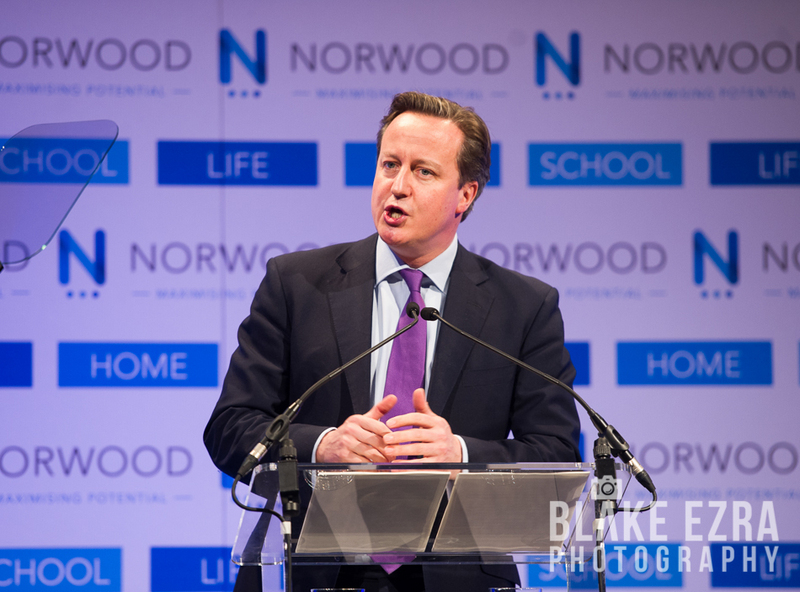 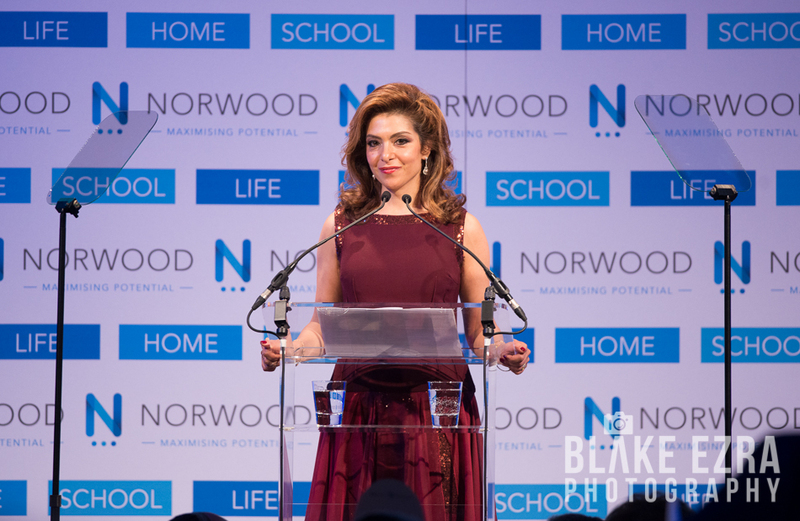 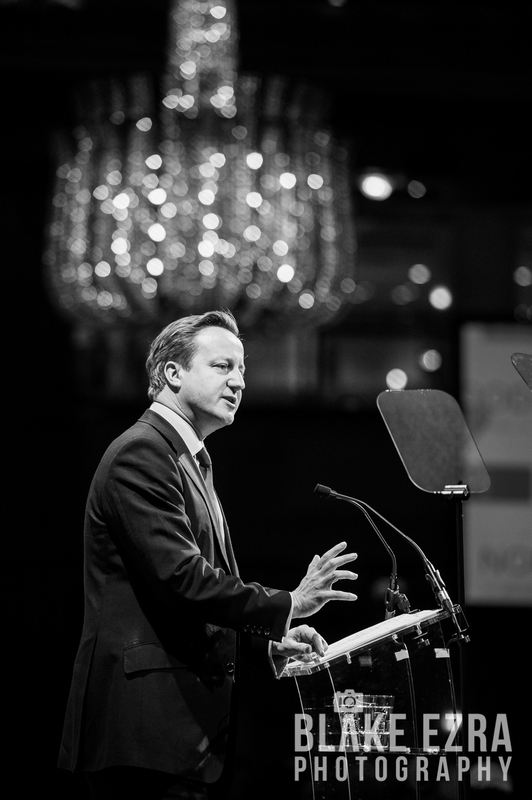 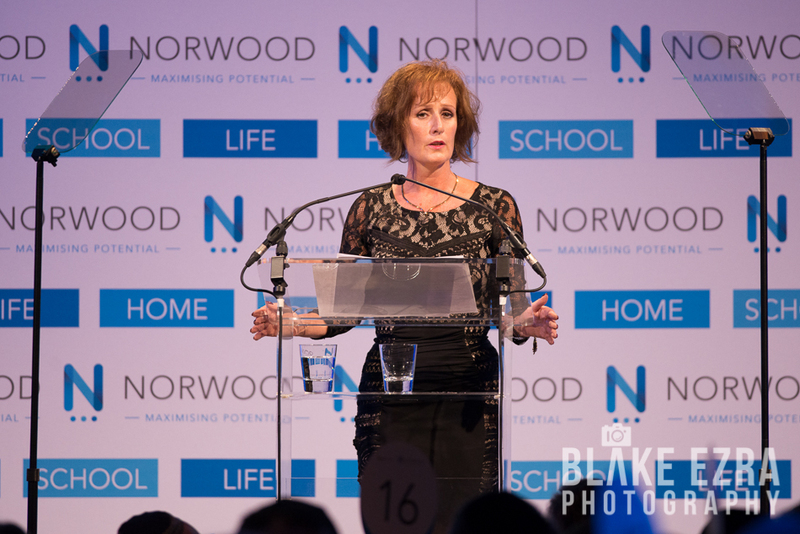 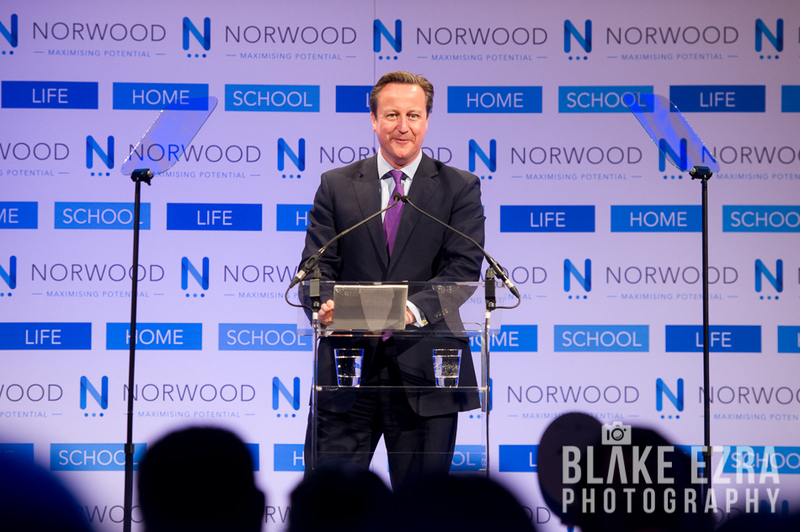 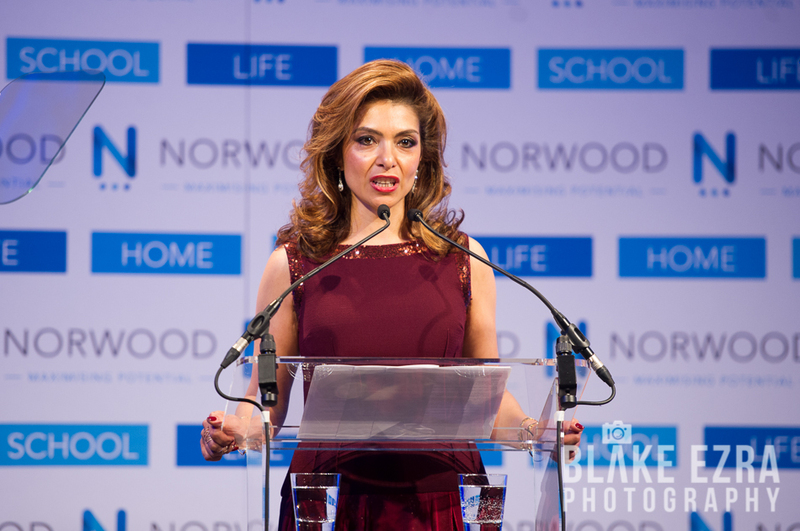 The Prime Minister’s speech also referred to his experience of having a son with severe disabilities – he clearly, and tragically, fully understands why Norwood is such an incredible charity. 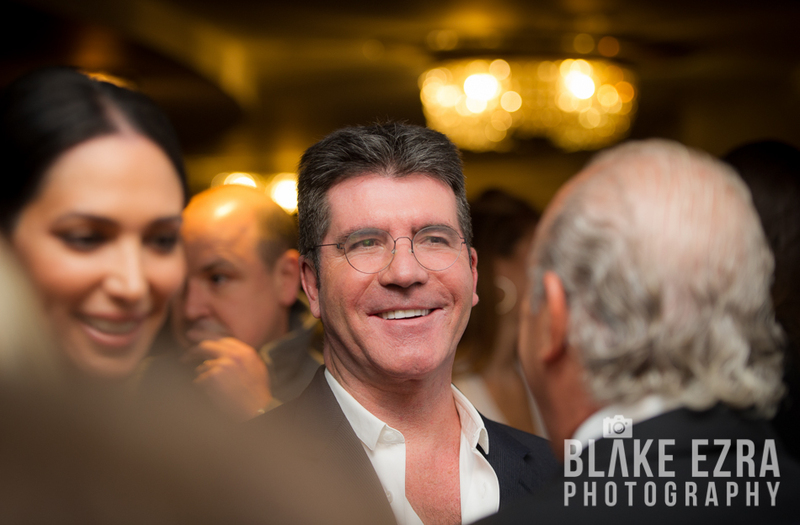 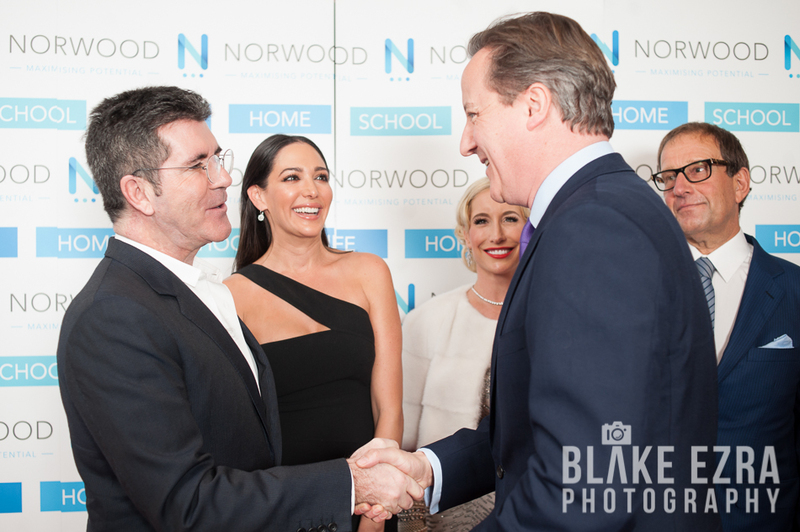 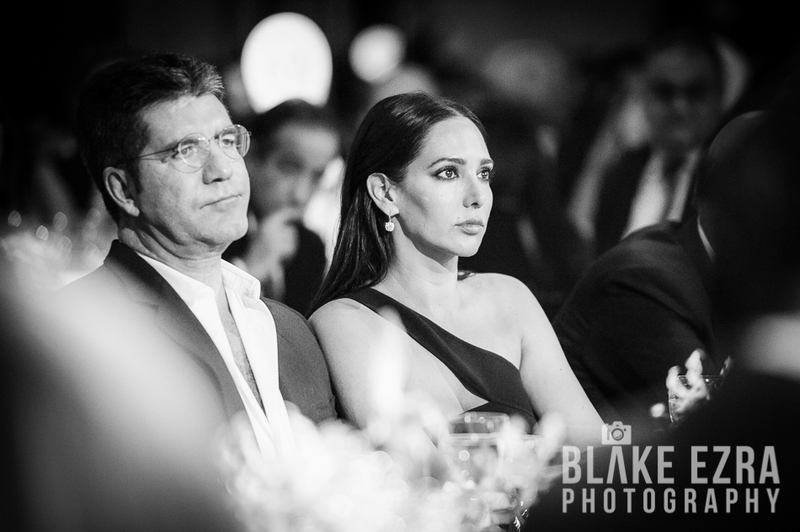 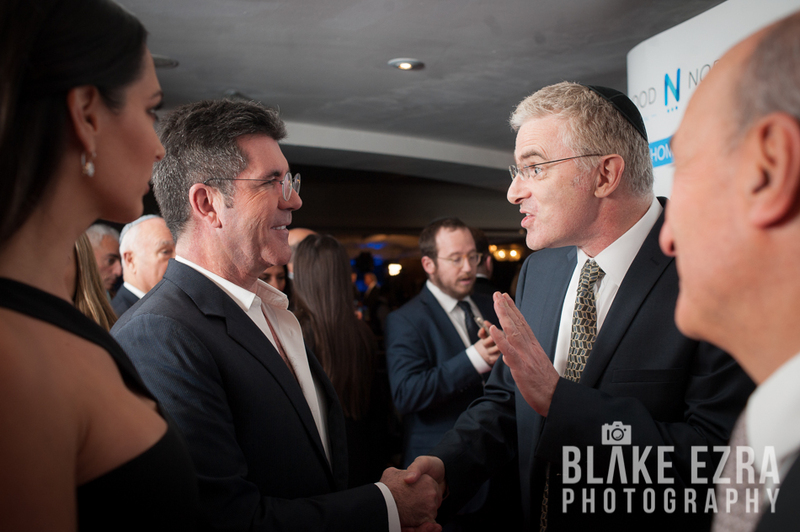 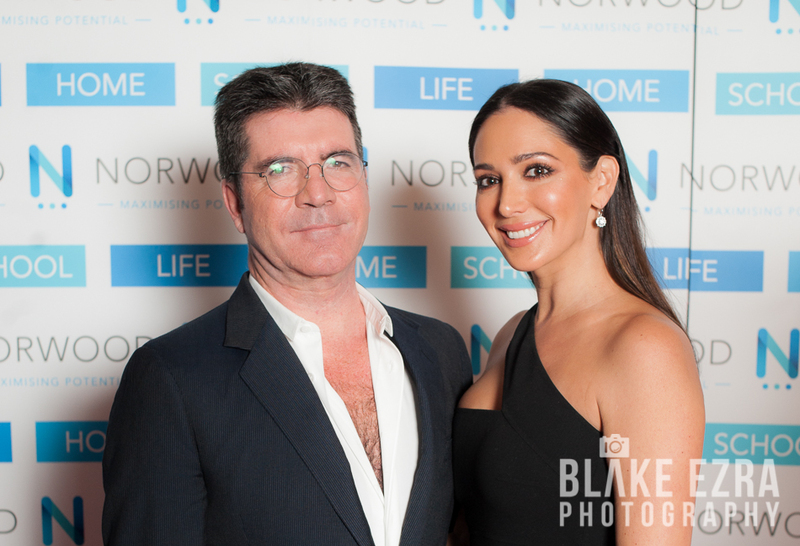 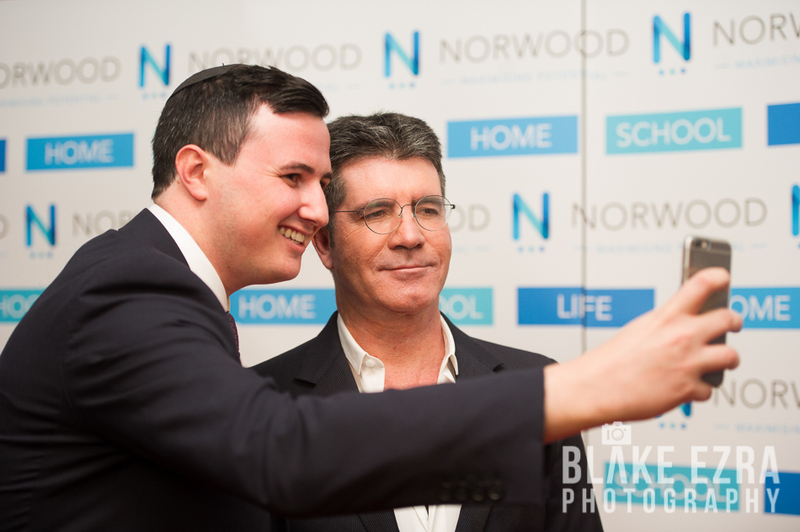 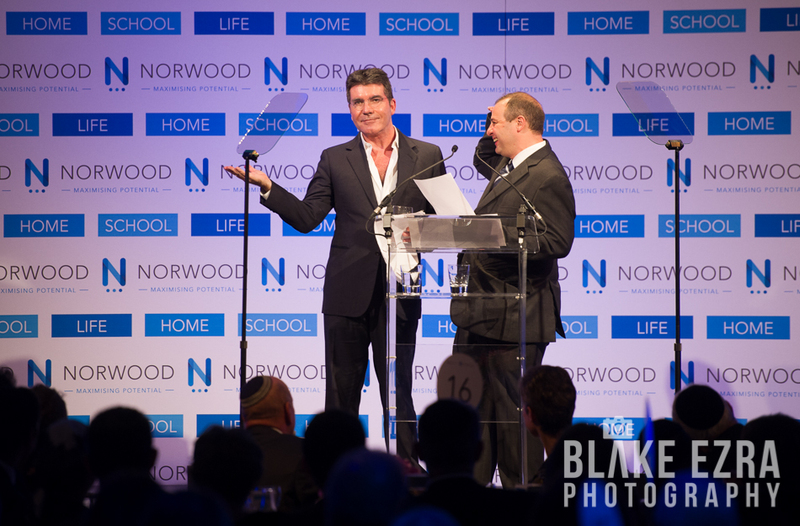 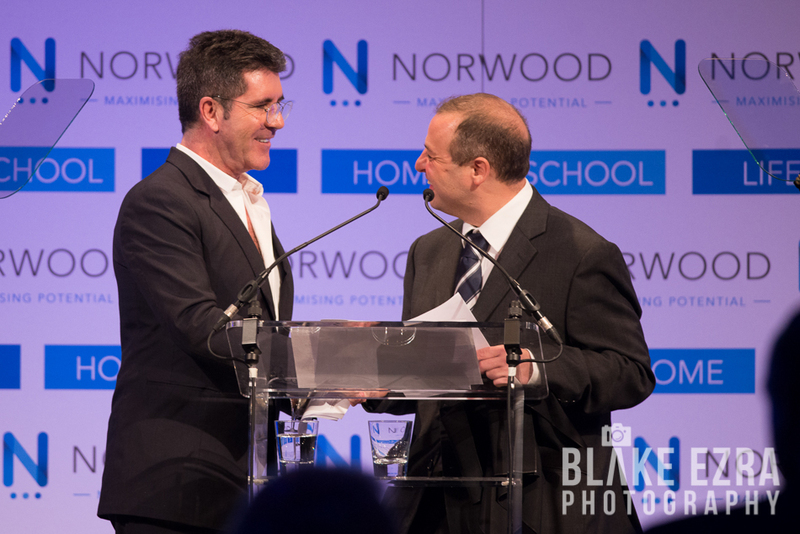 Meanwhile, most of the room seemed to want a selfie with Simon Cowell, who had time for absolutely everyone and seemingly unending patience. 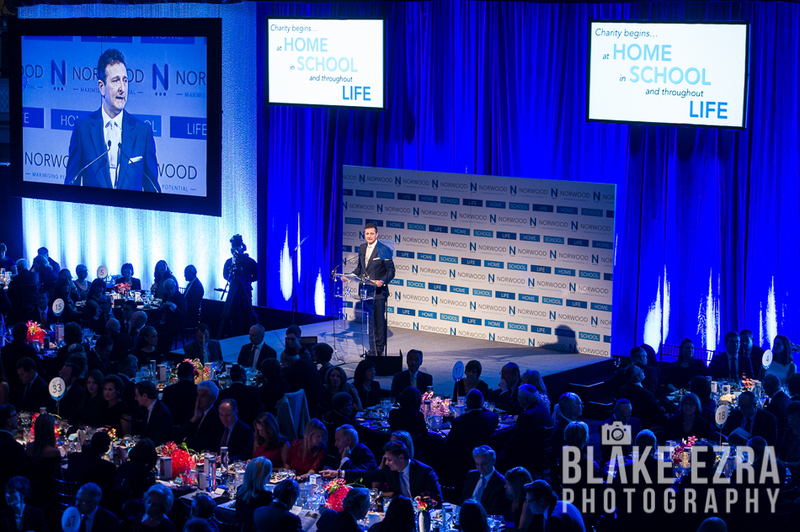 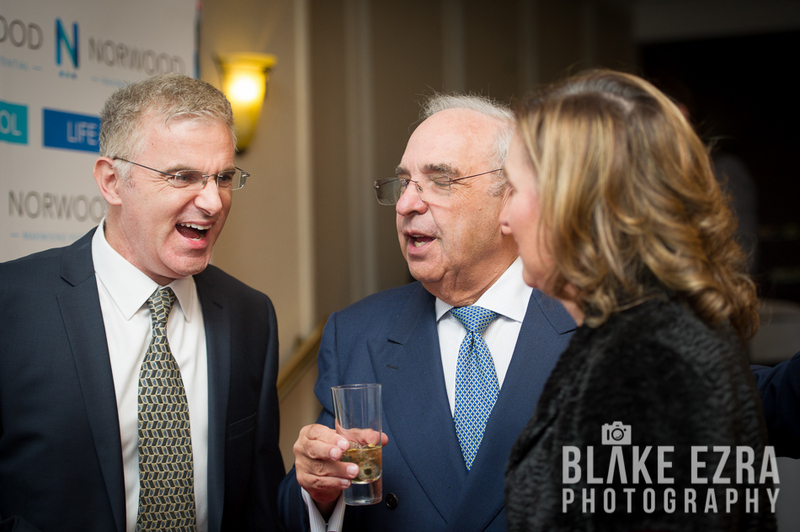 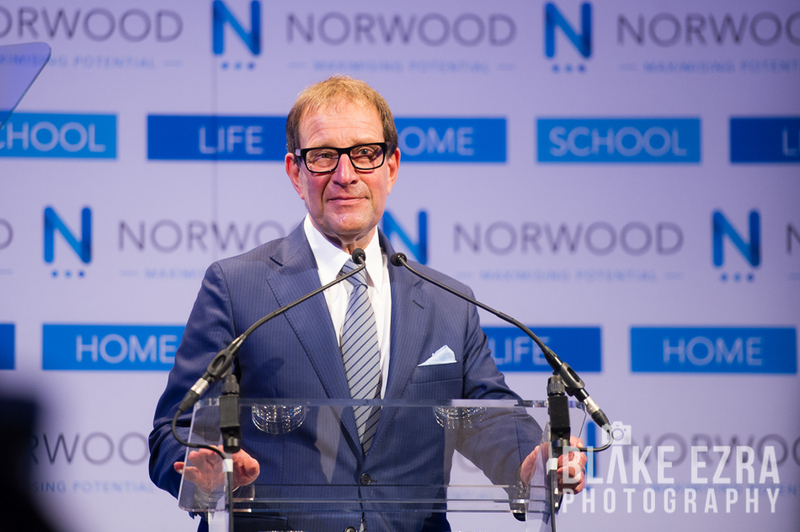 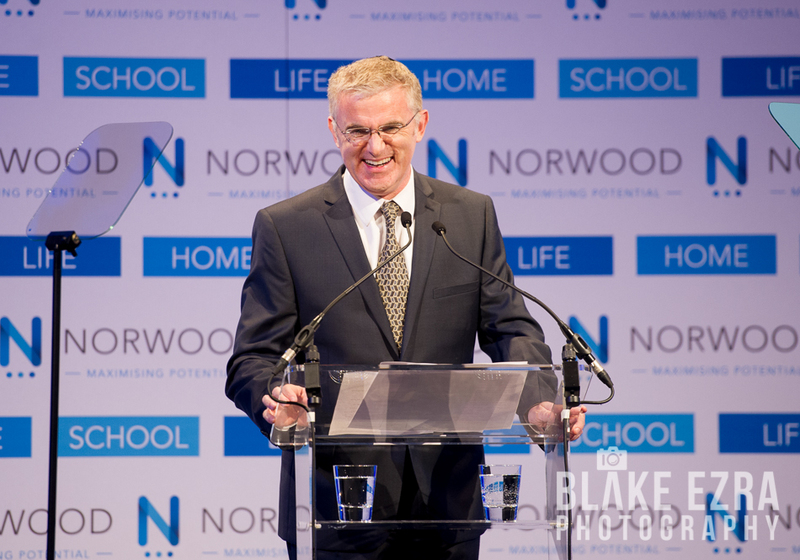 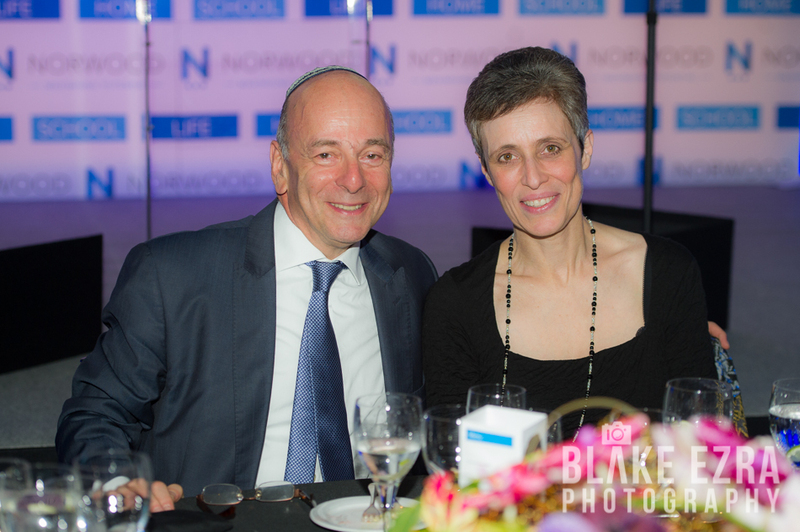 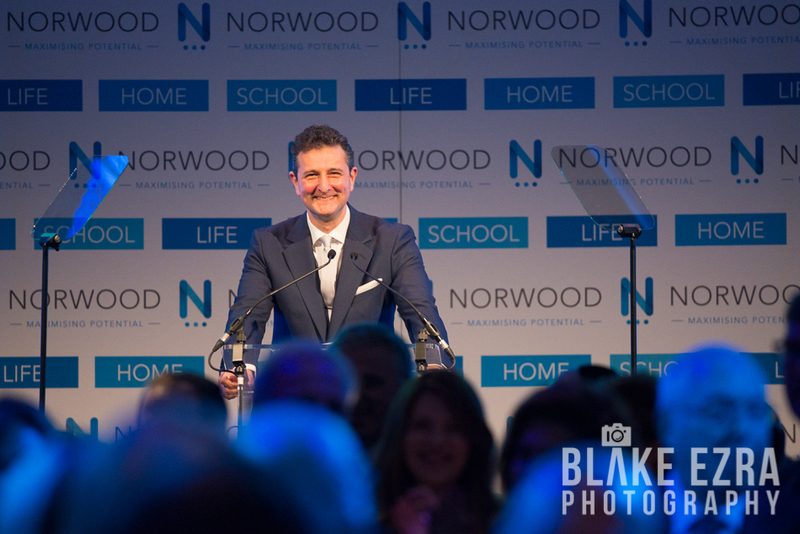 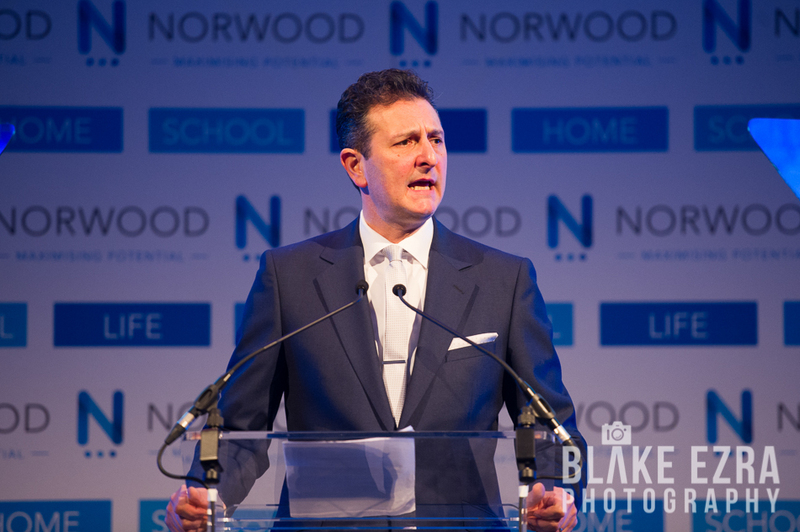 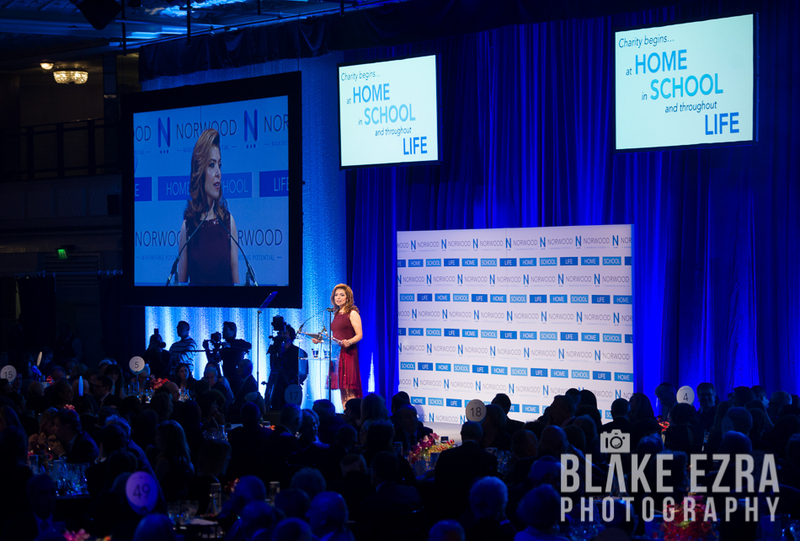 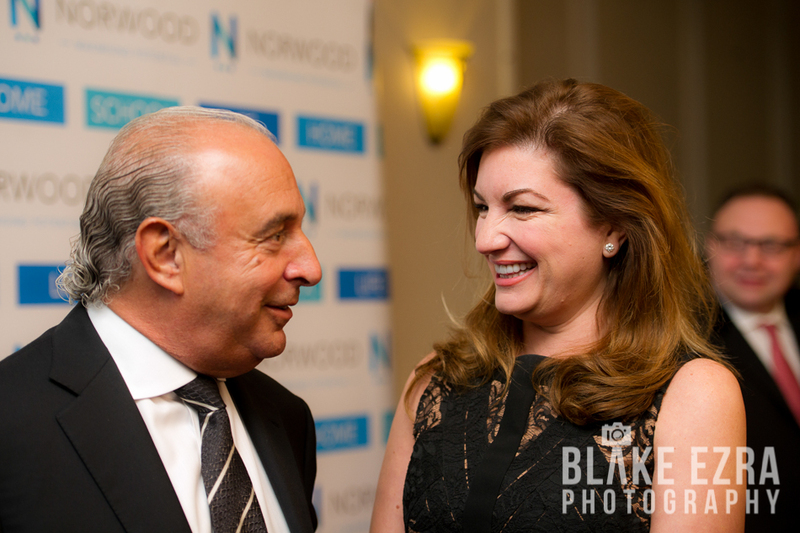 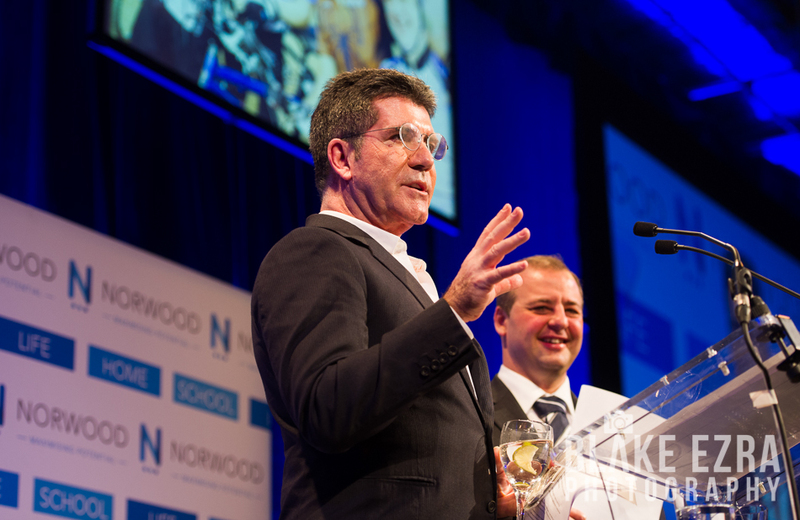 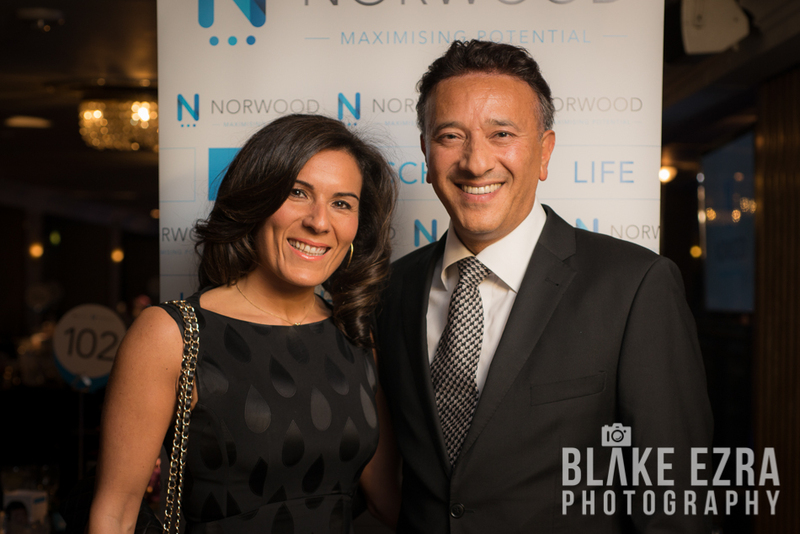 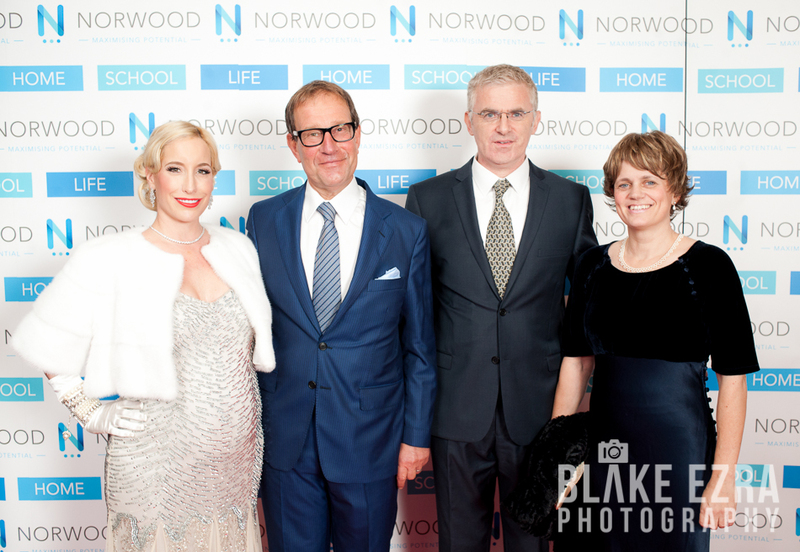 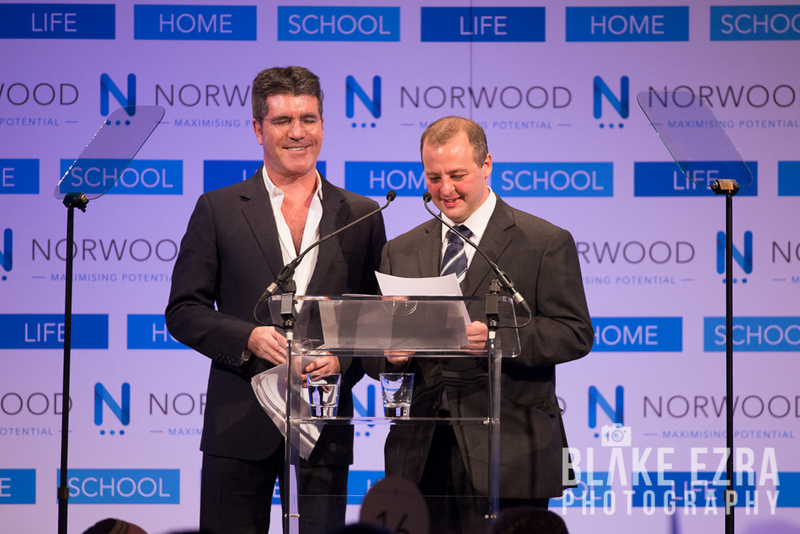 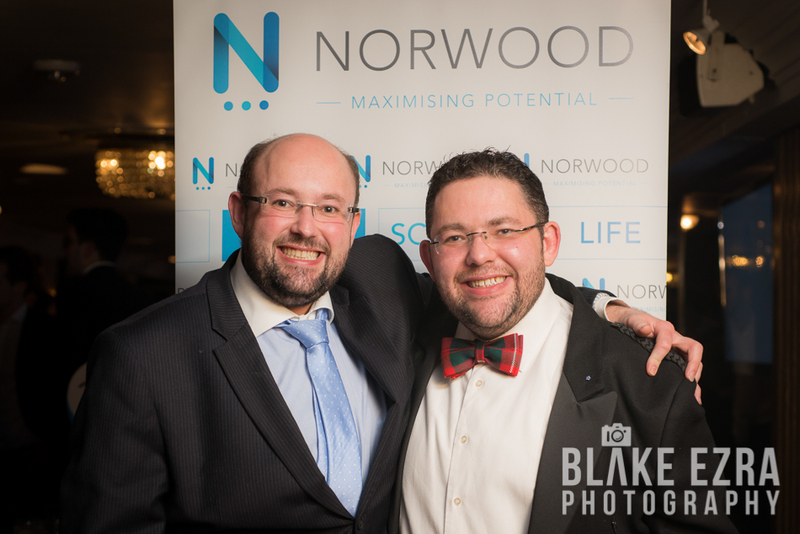 His short speech at the end of the evening also highlighted his deep admiration and support for Norwood.